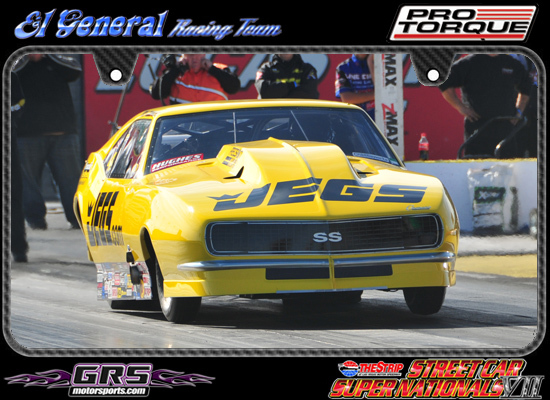 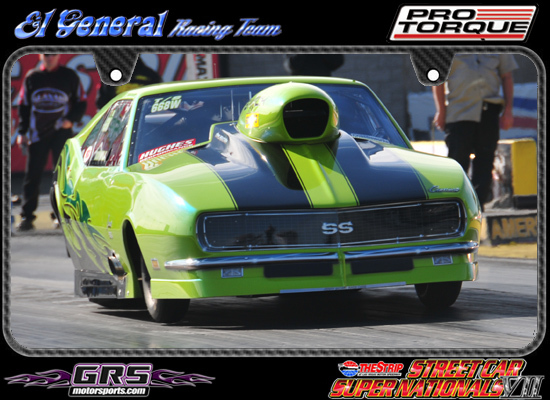 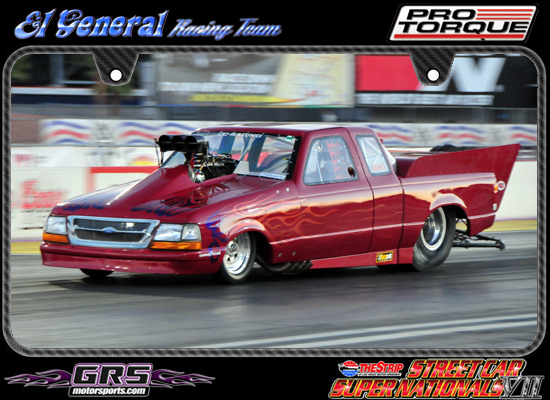 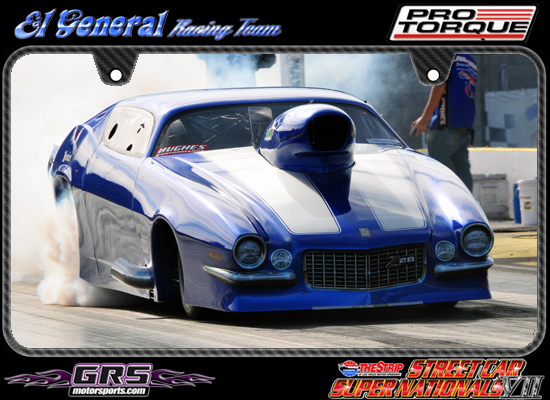 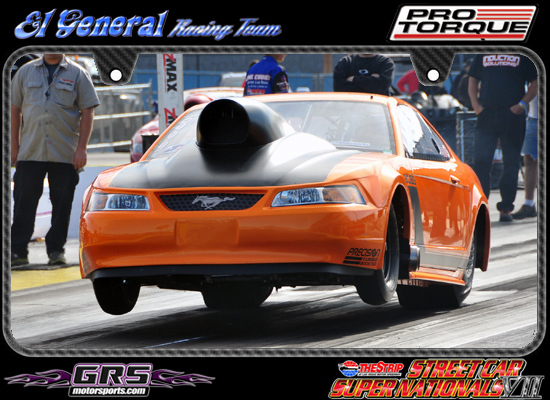 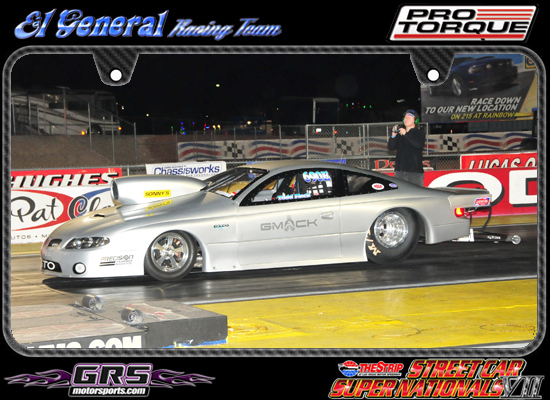 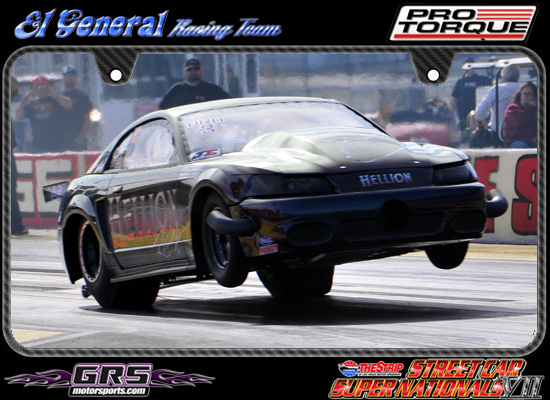 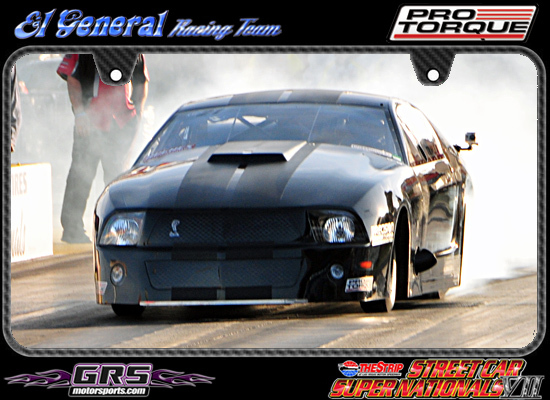 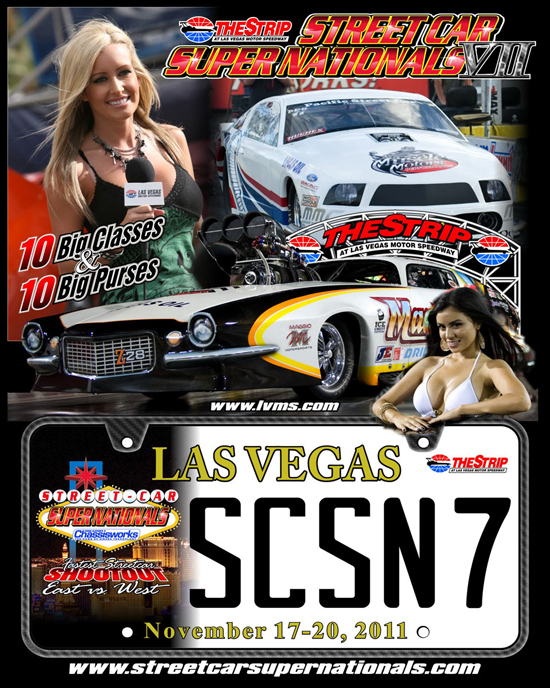 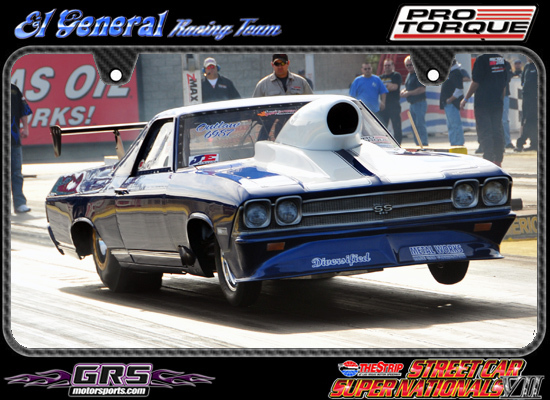 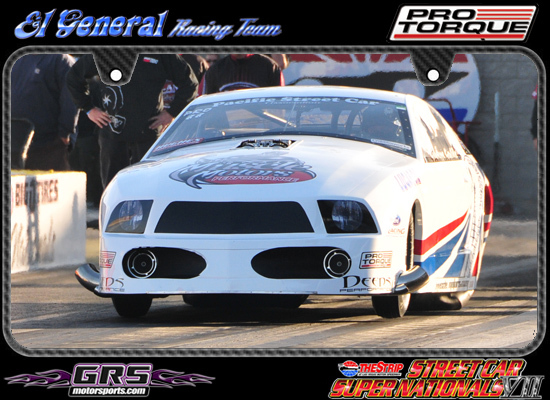 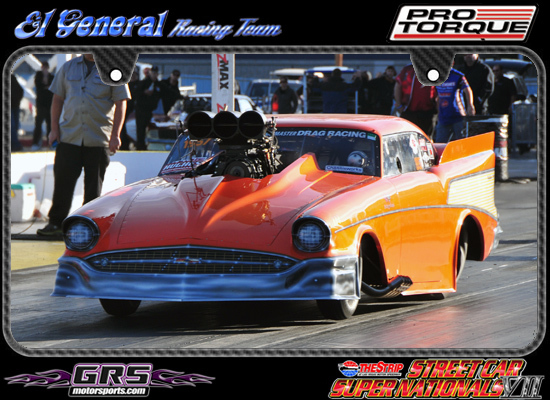 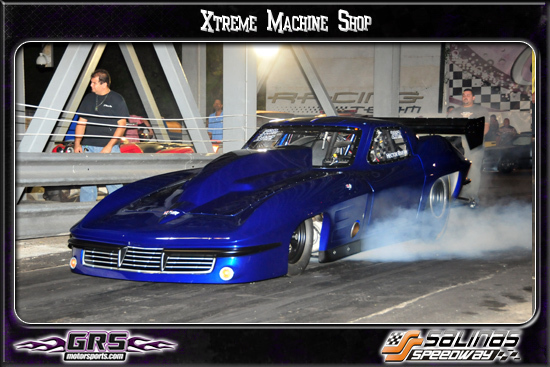 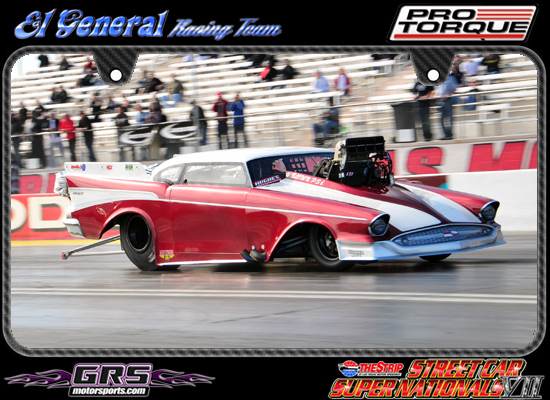 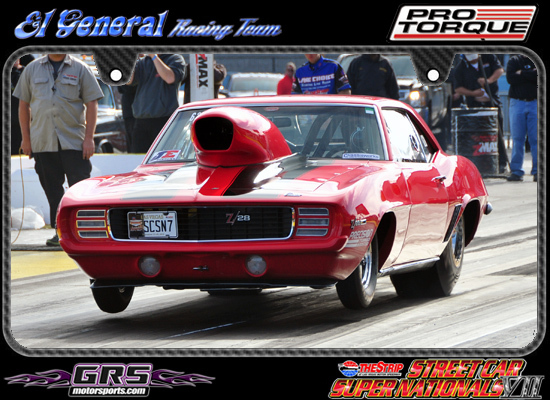 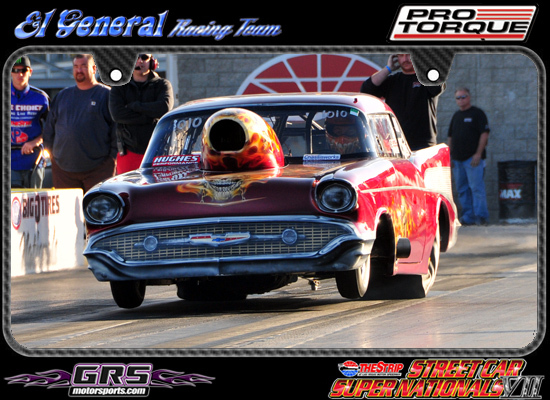 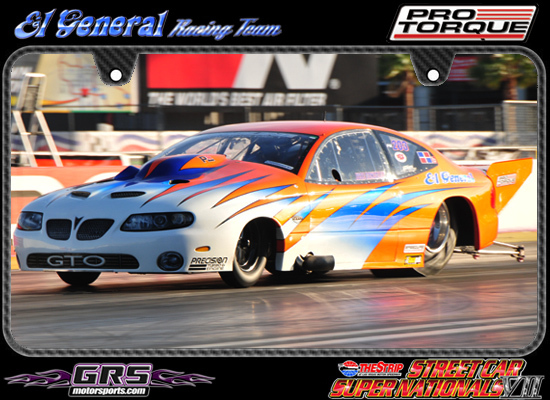 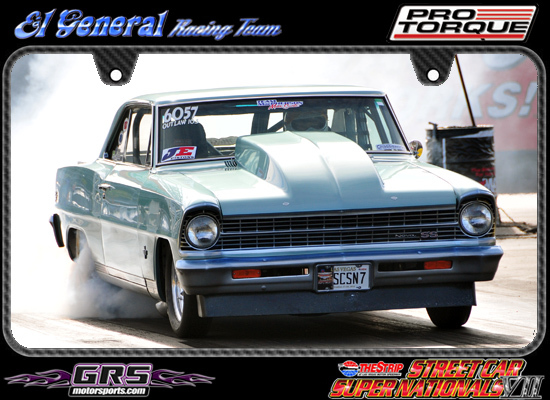 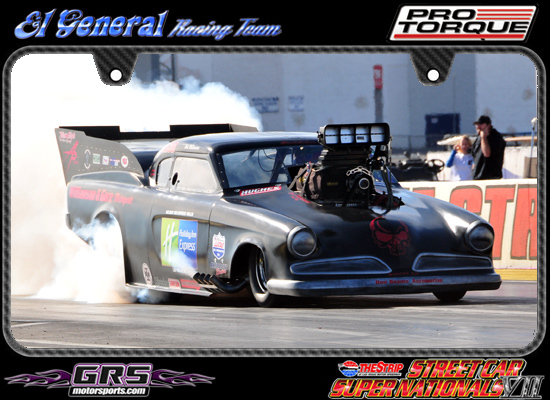 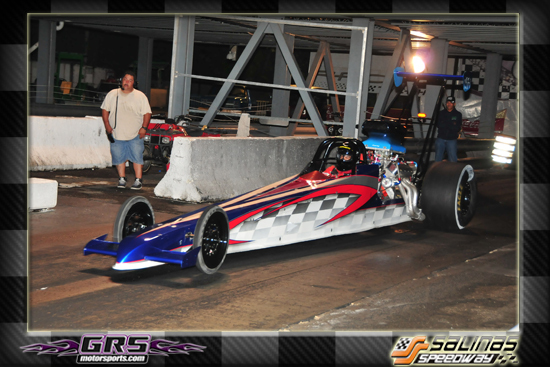 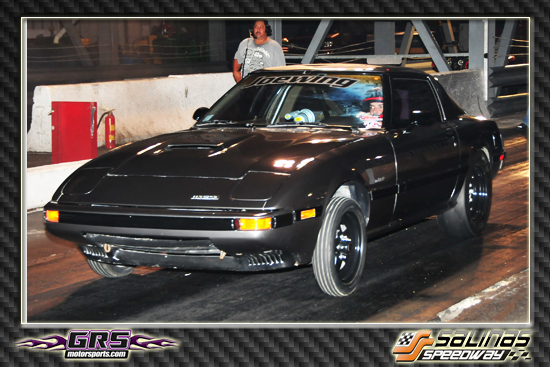 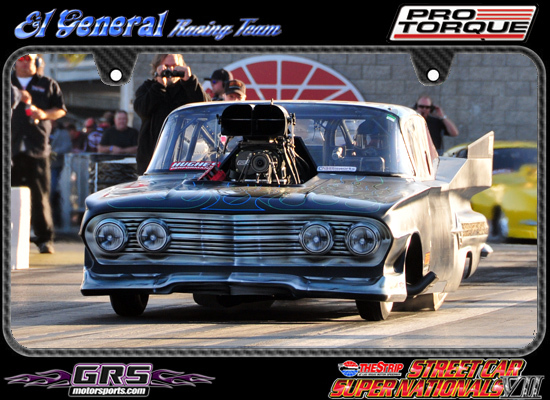 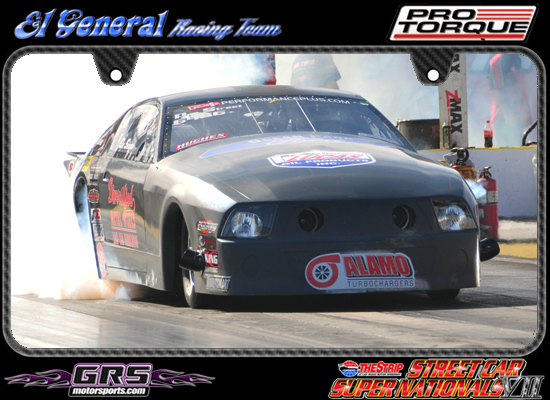 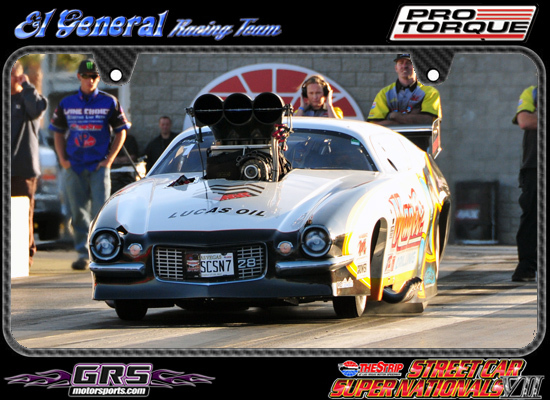 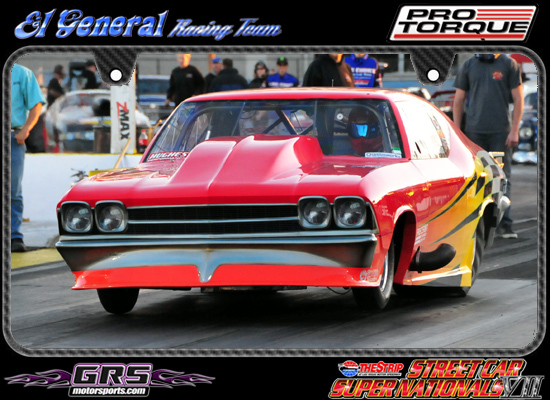 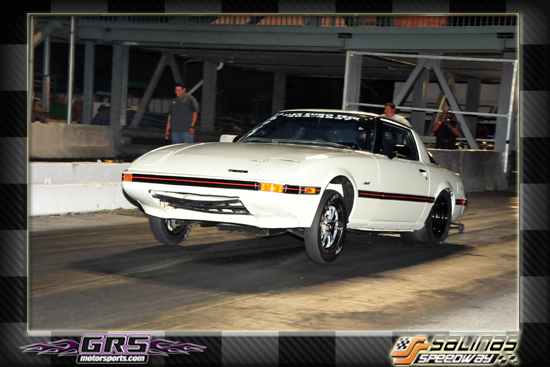 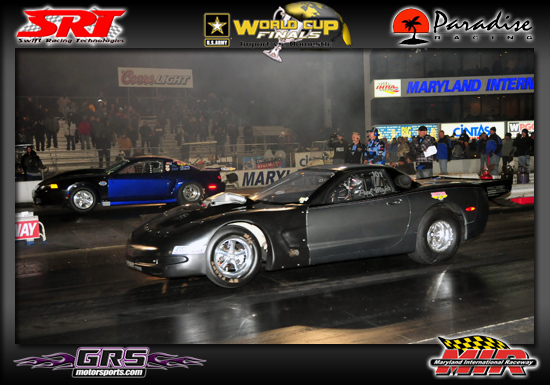 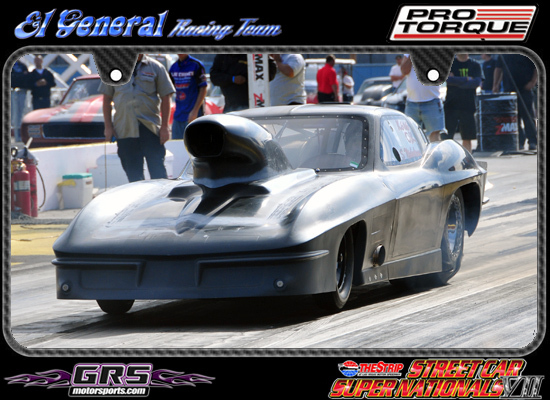 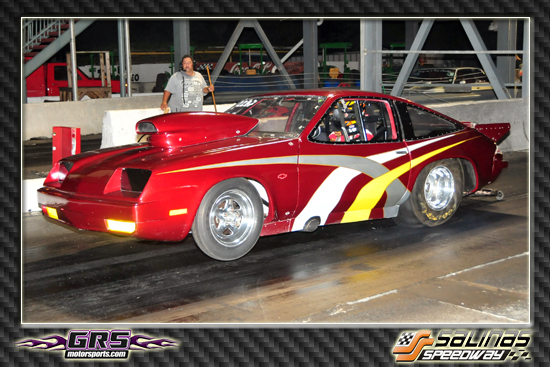 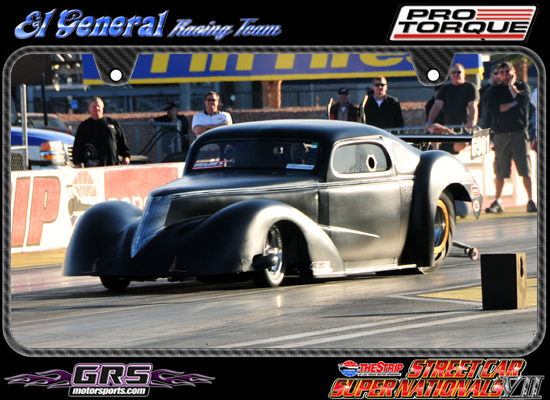 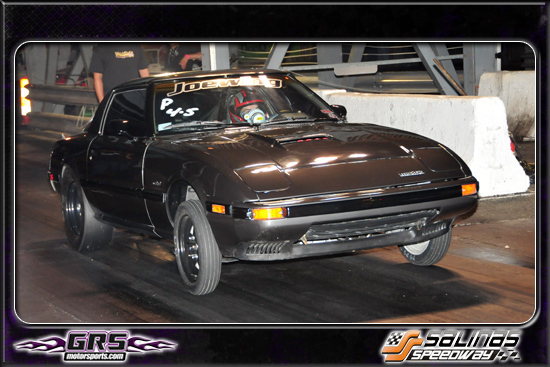 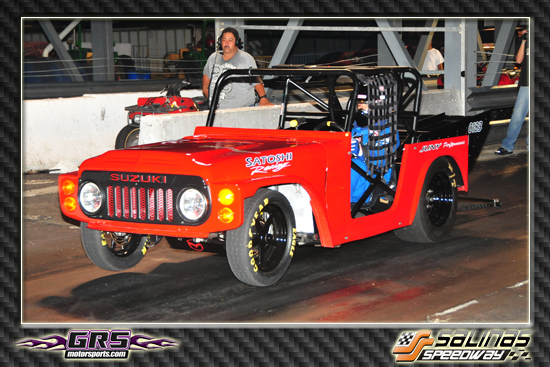 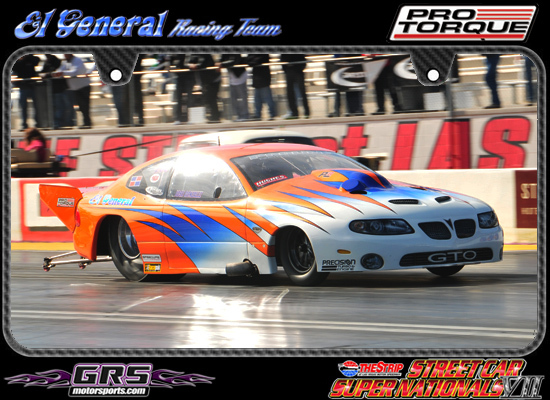 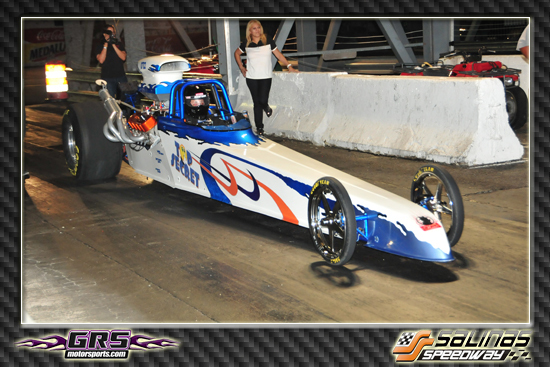 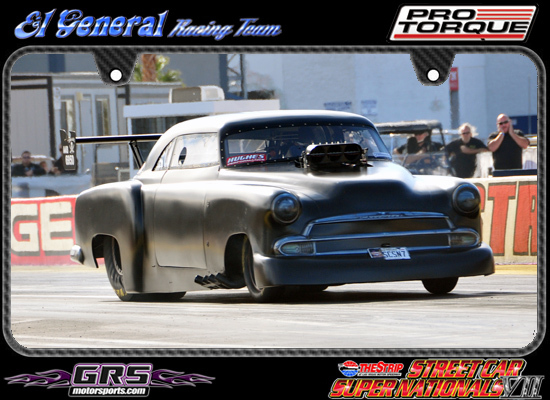 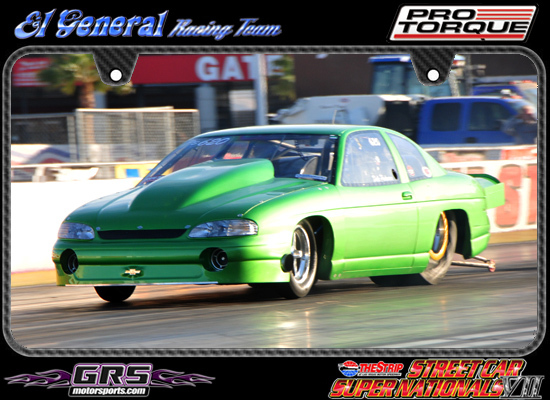 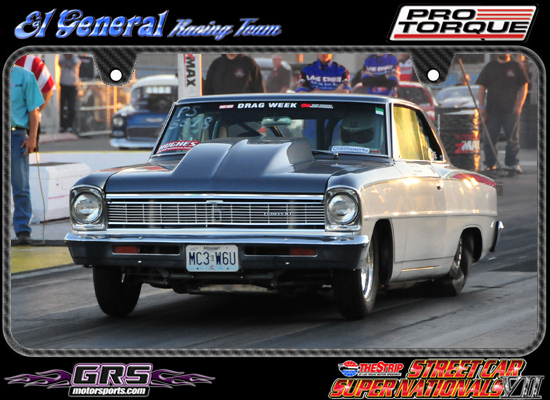 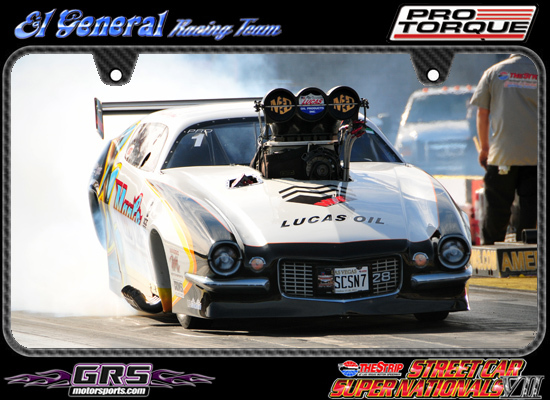 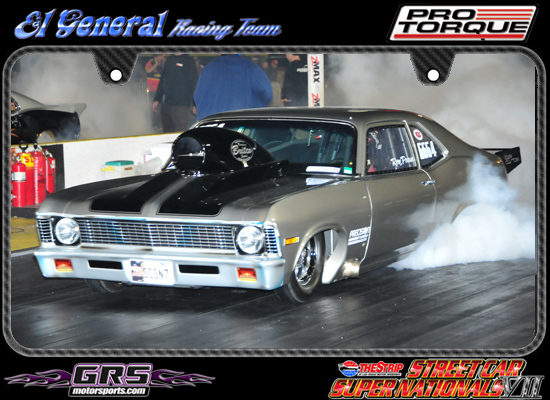 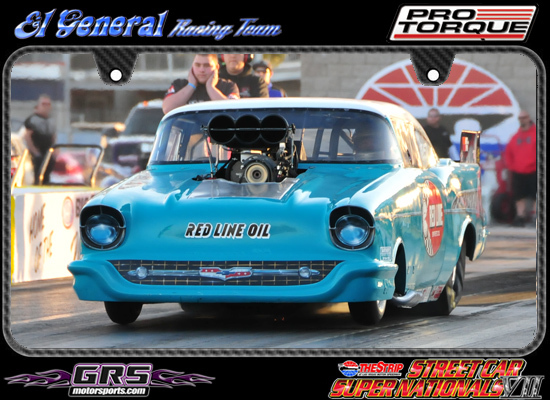 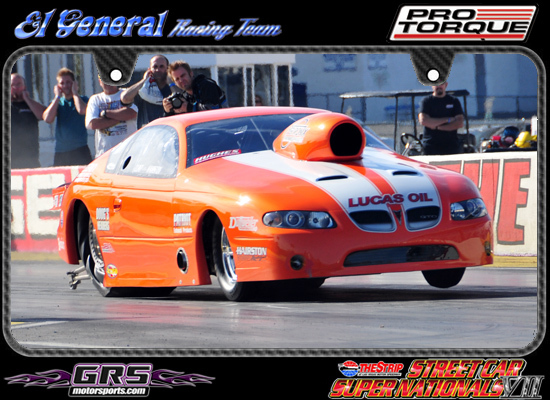 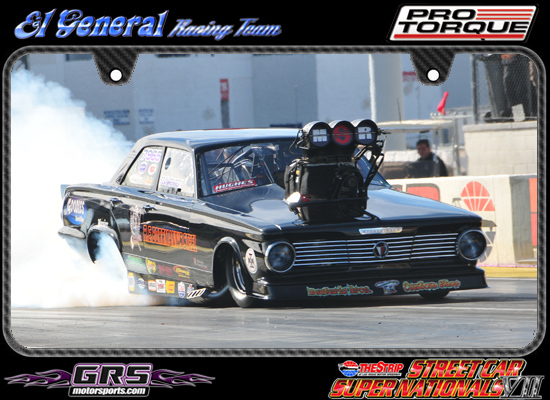 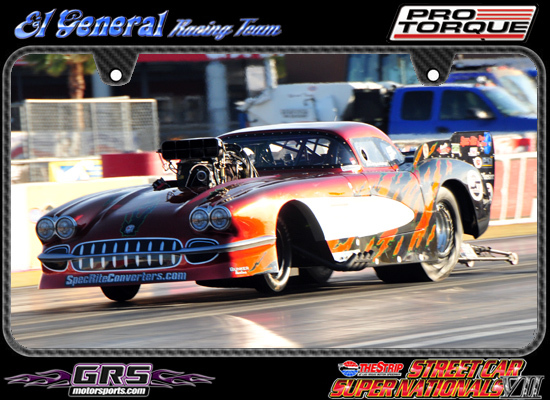 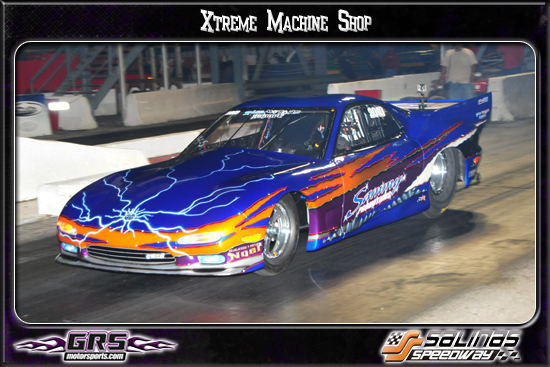 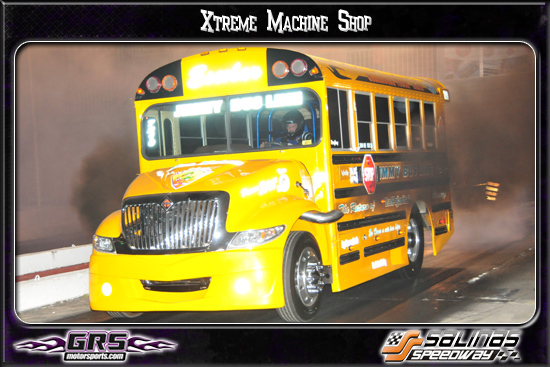 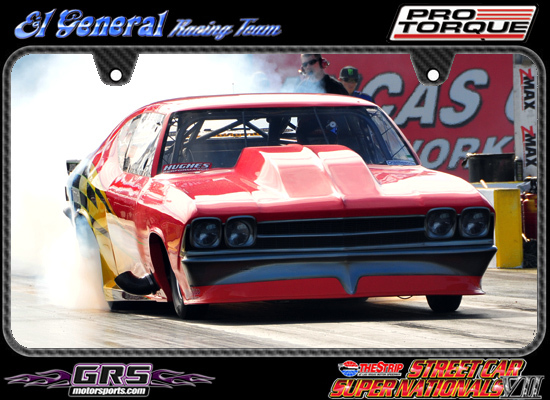 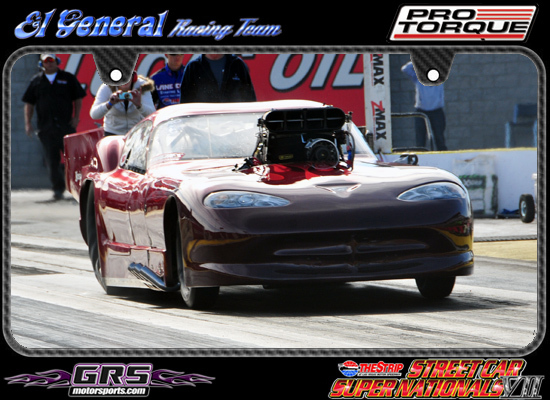 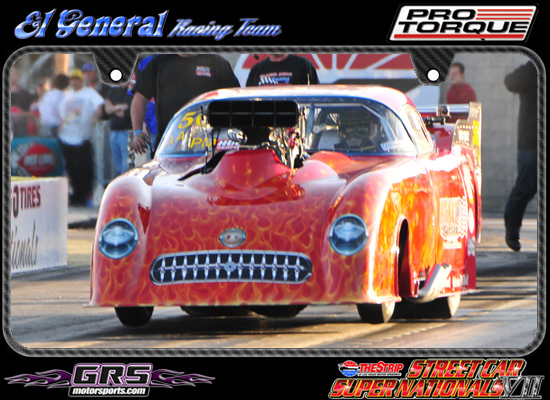 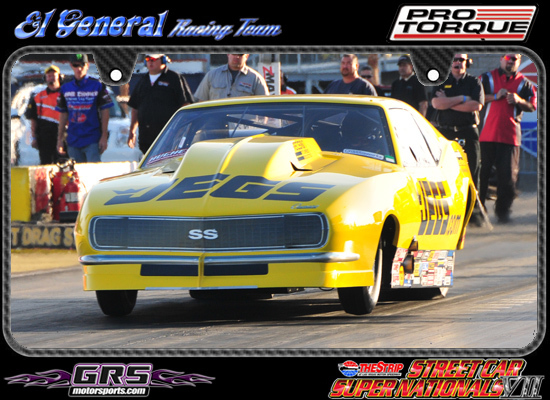 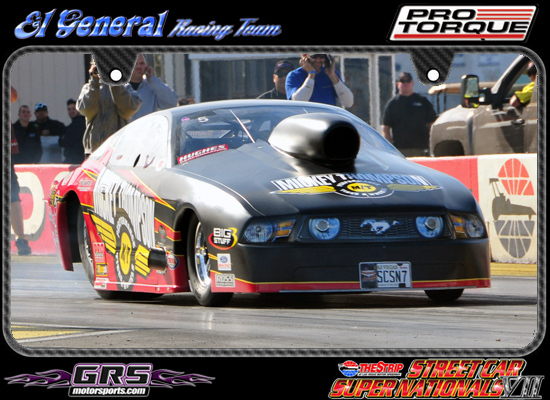 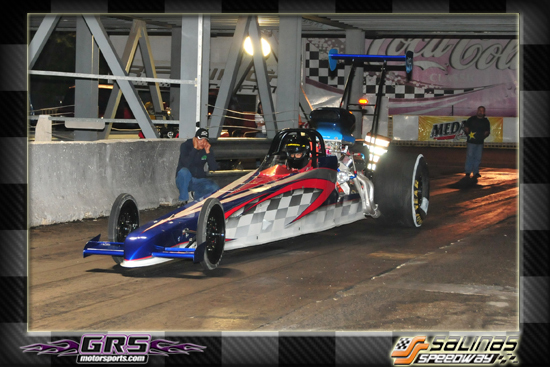 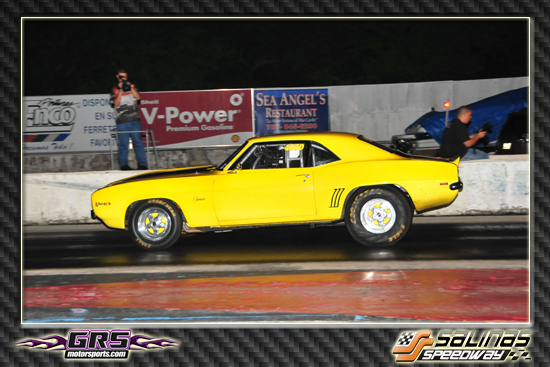 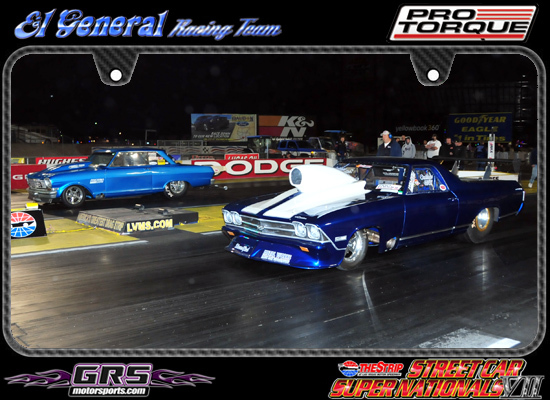 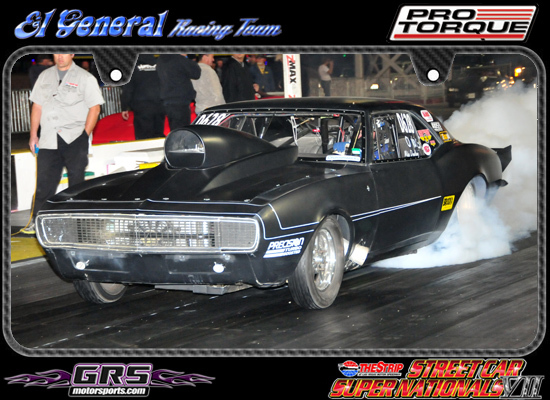 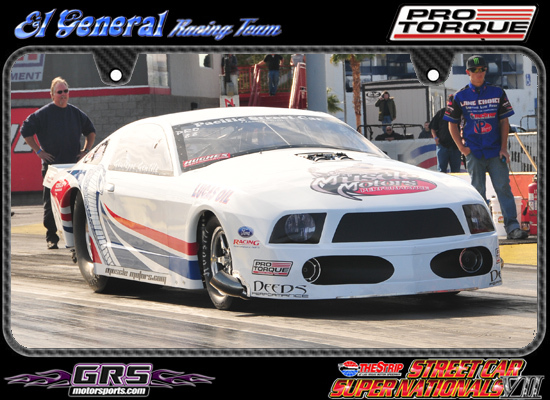 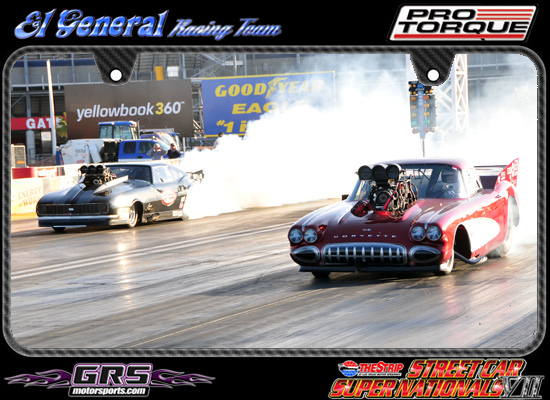 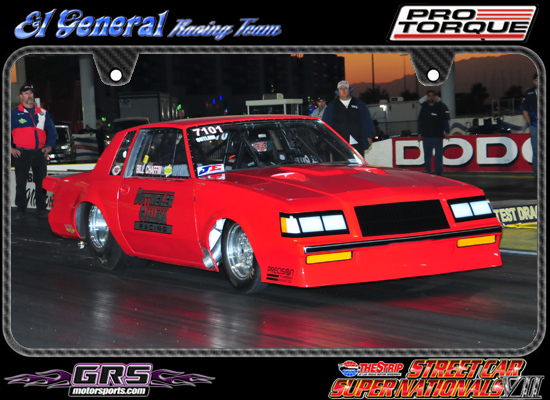 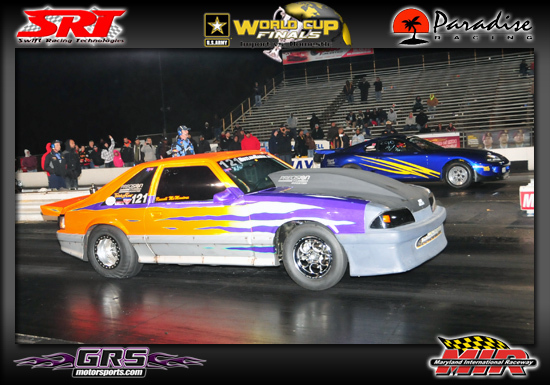 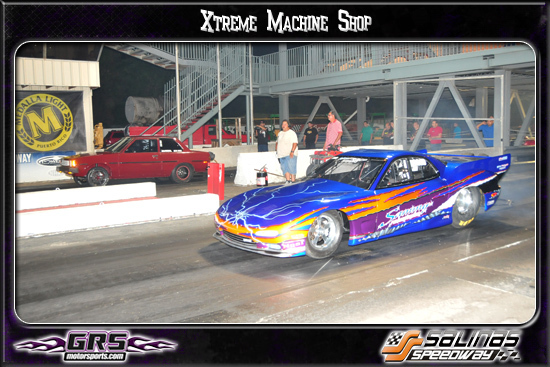 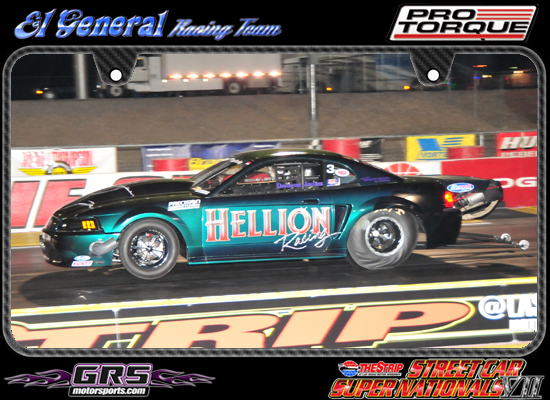 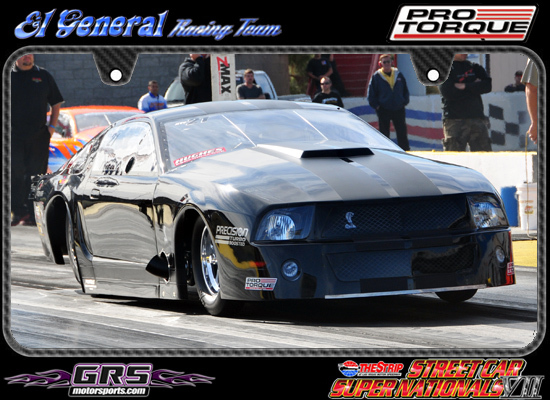 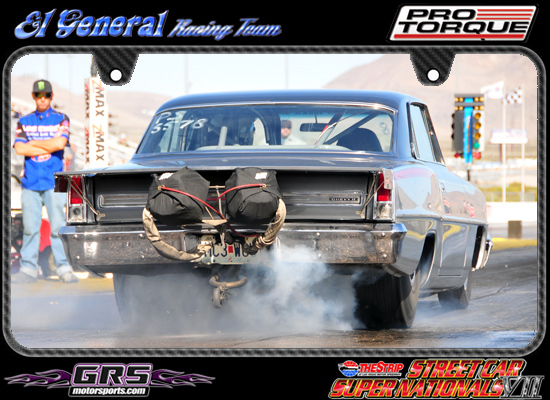 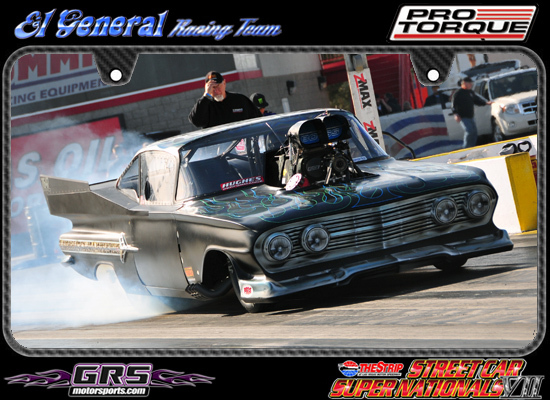 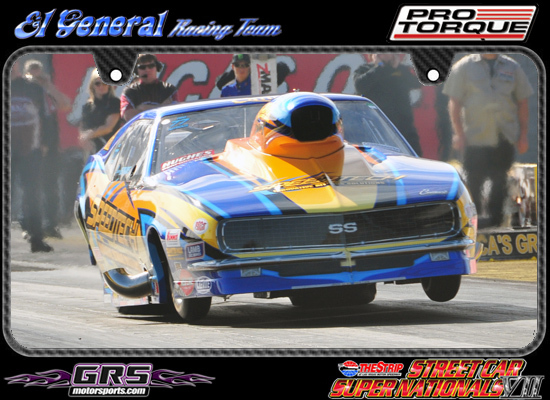 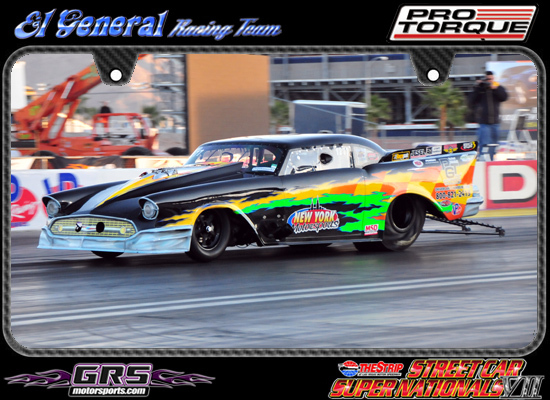 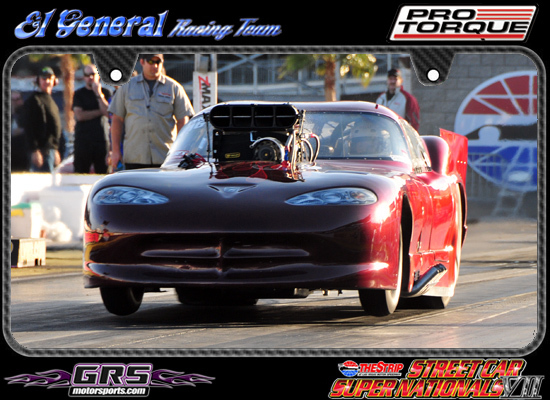 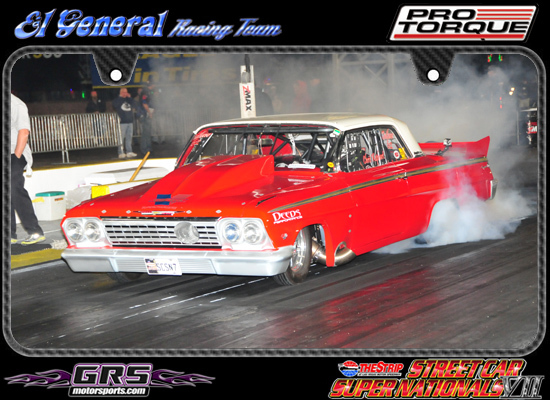 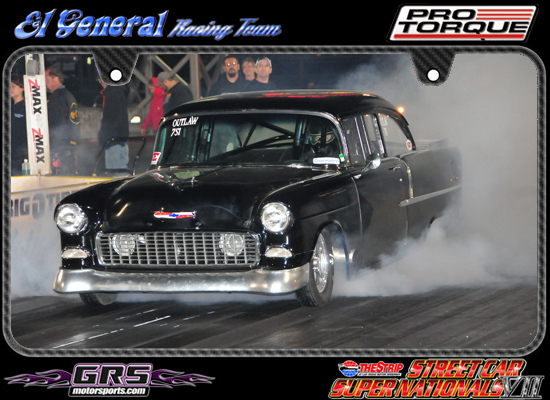 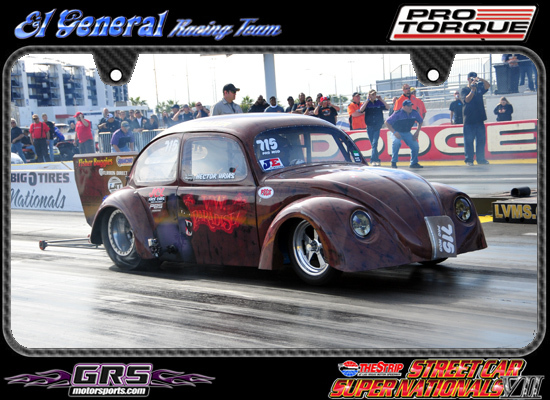 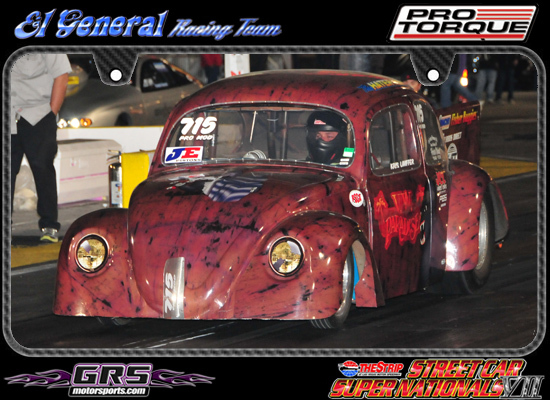 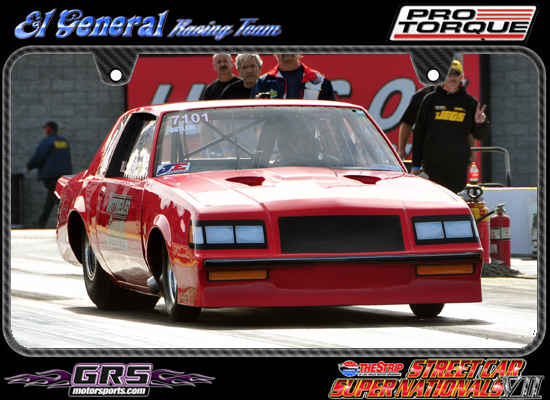 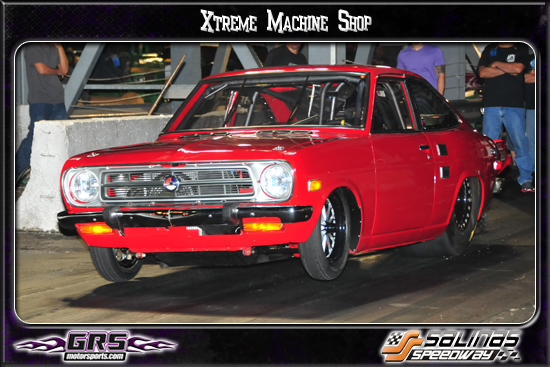 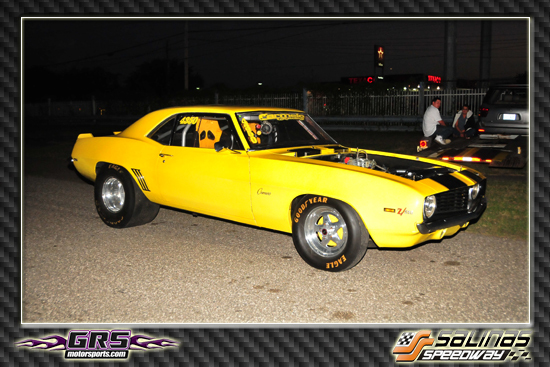 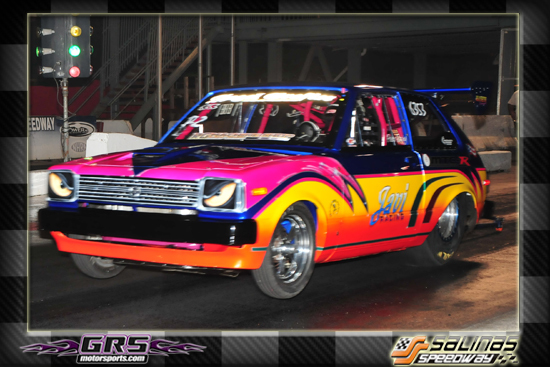 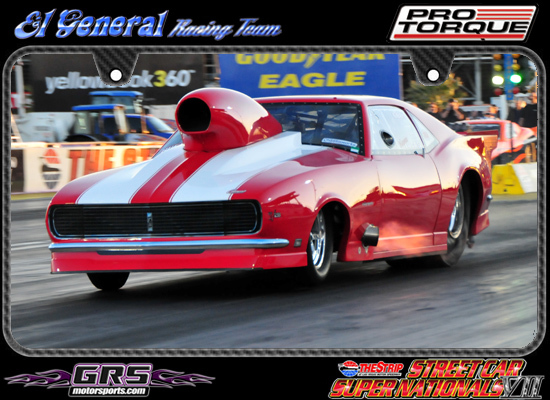 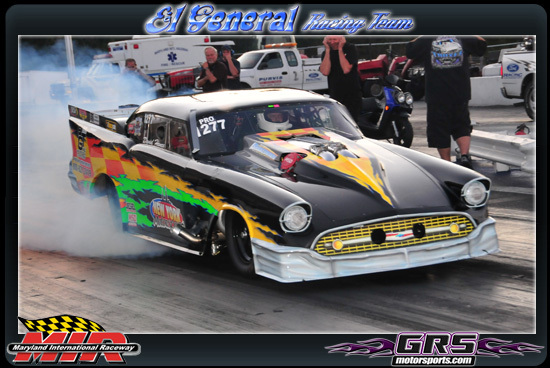 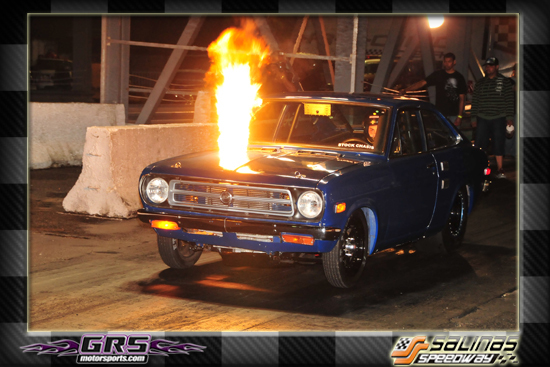 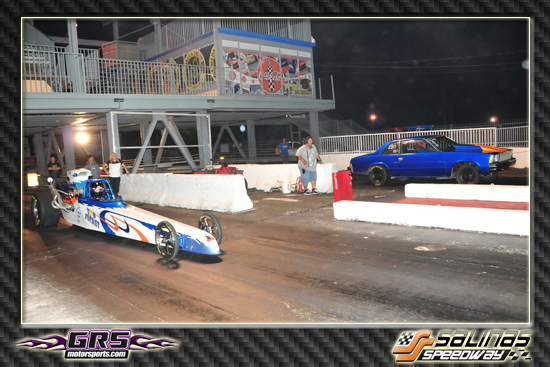 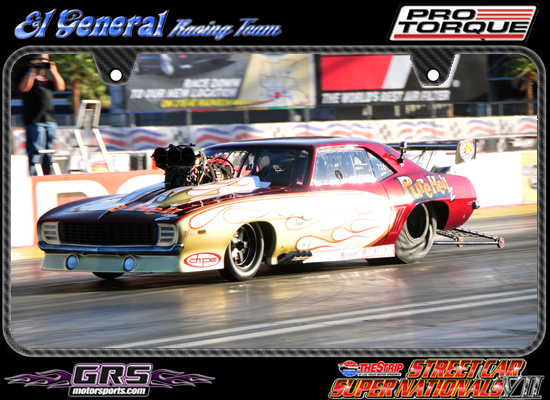 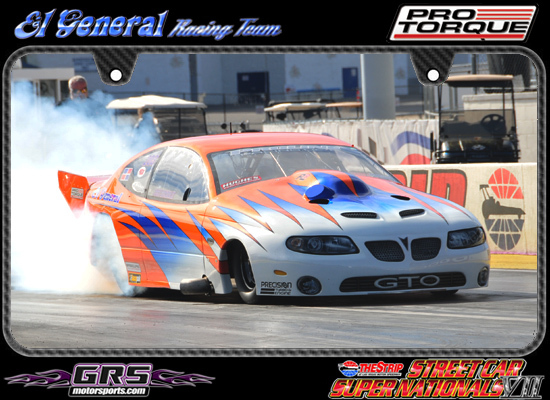 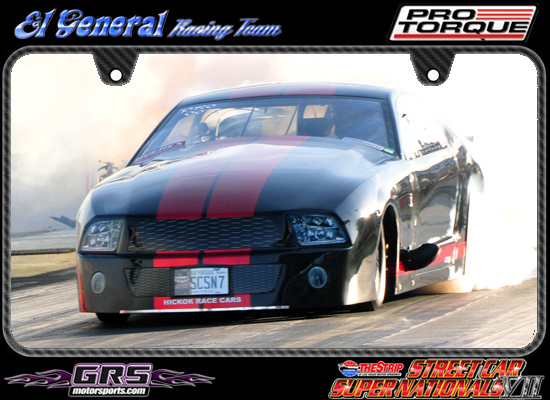 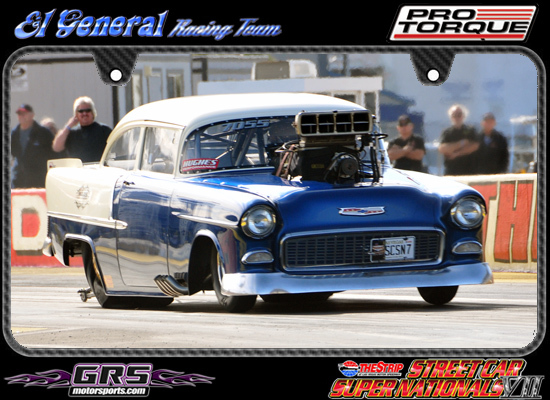 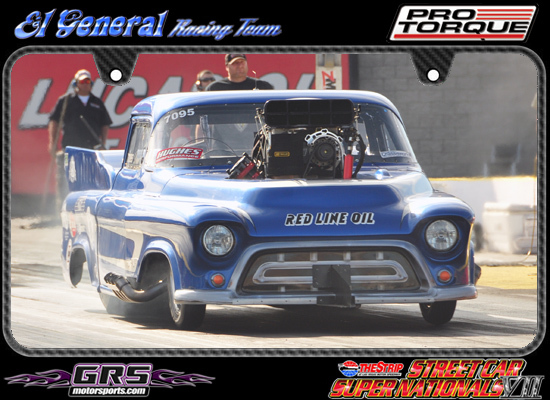 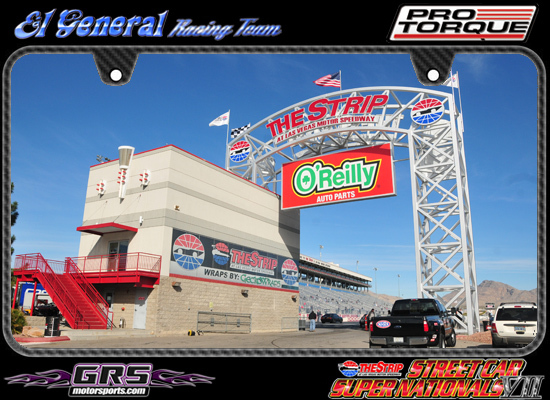 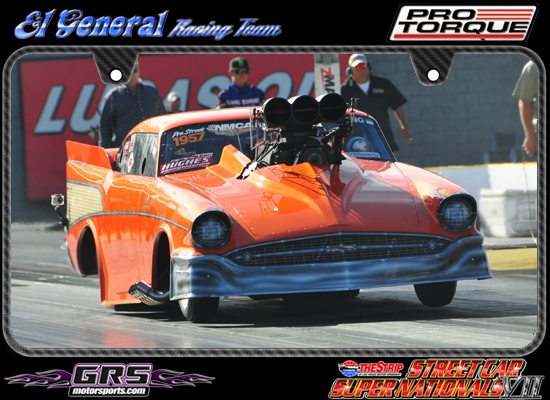 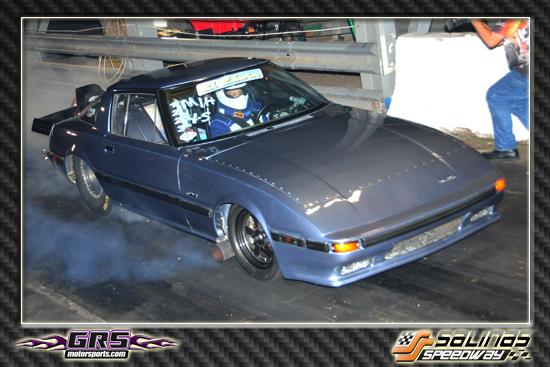 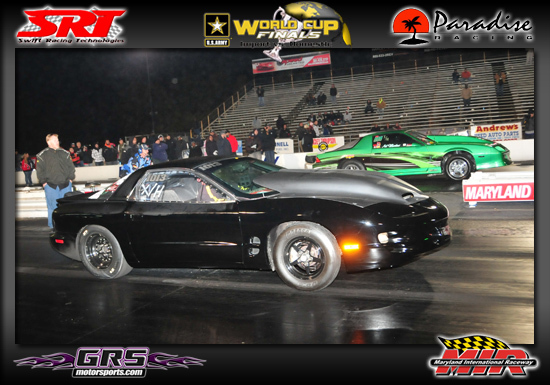 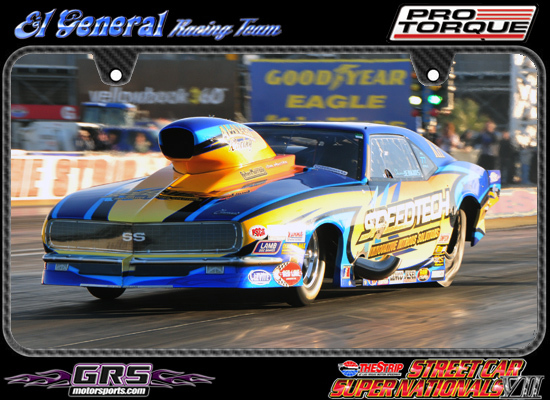 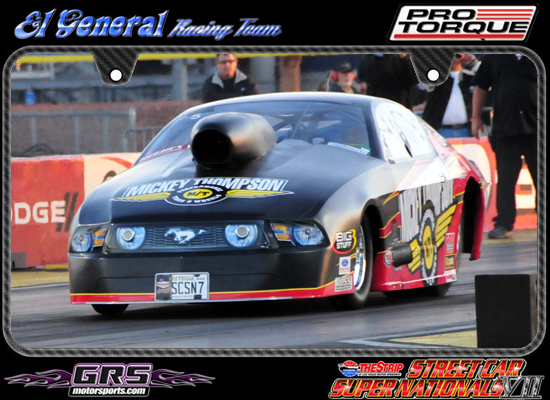 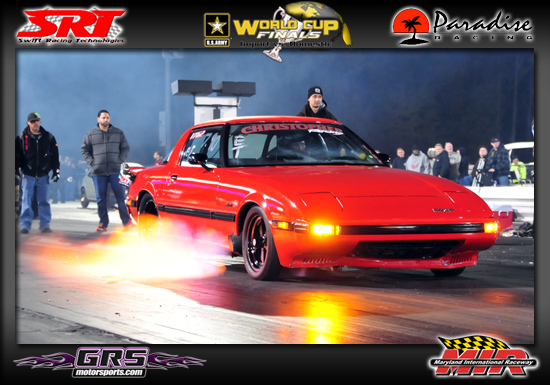 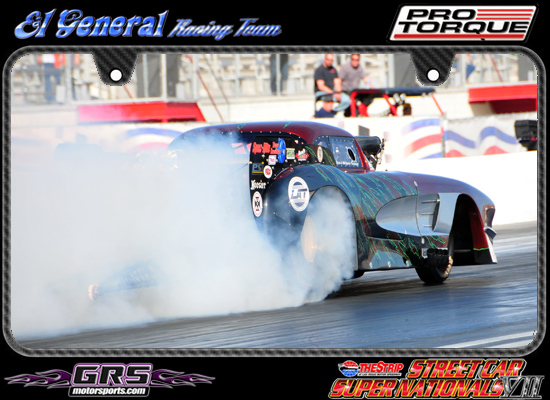 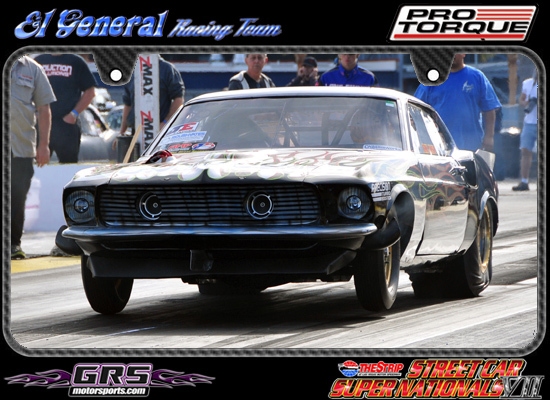 Street Car Super Nationals is a one of a kind event that brings racers from all across the US and Canada to race for some of the Largest Cash Purses in the sport!!! 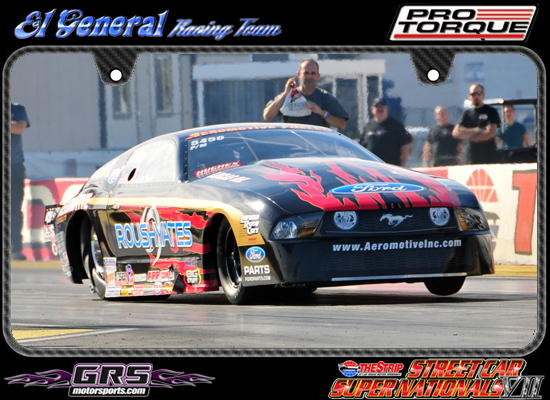 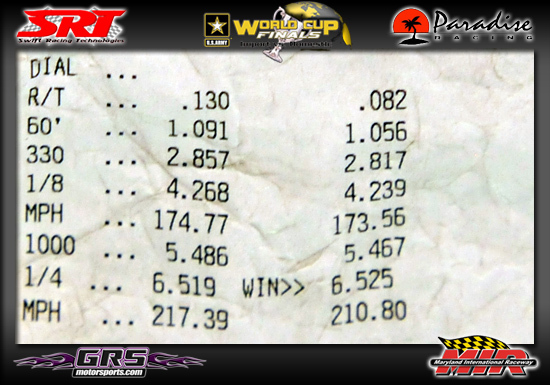 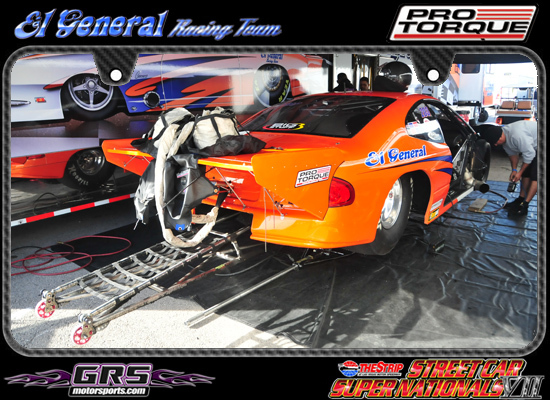 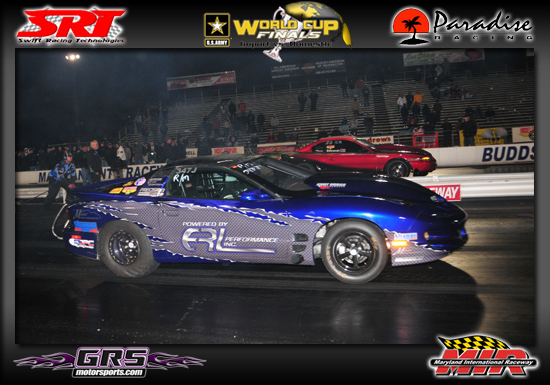 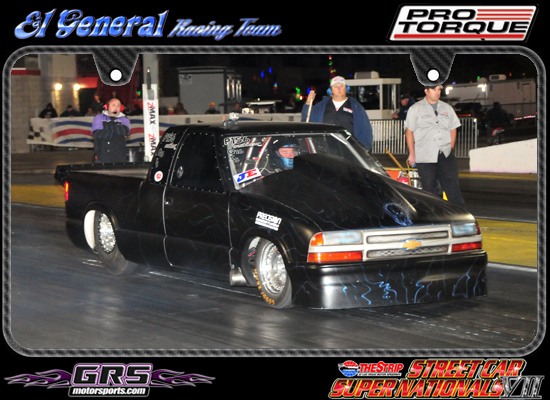 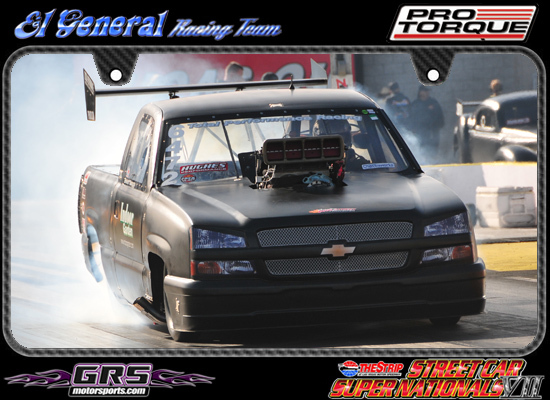 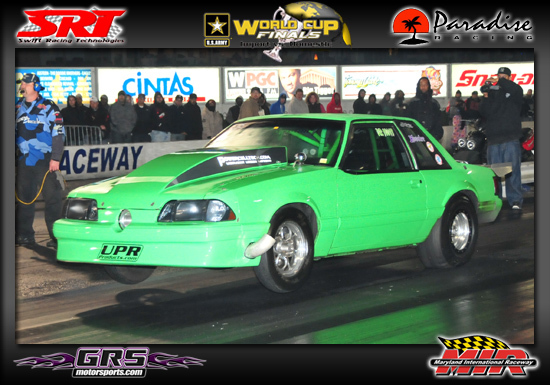 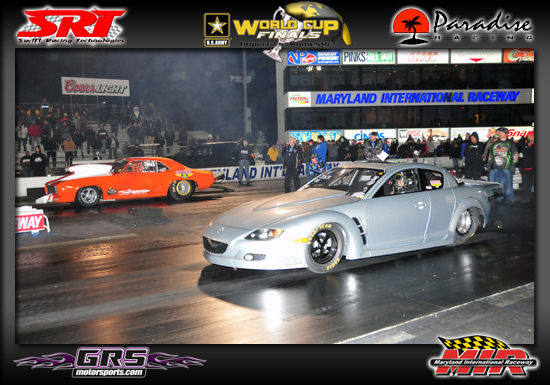 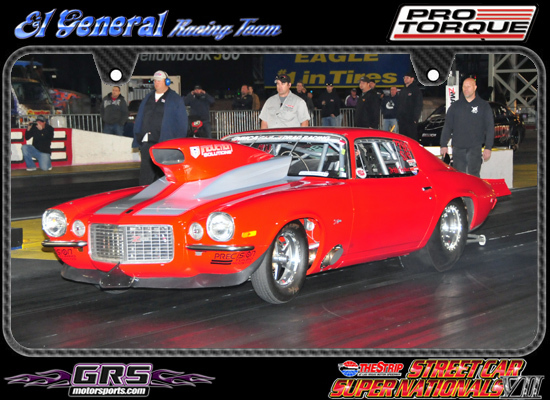 Then add in another $250,000.00 in posted Contingency and Bonus Awards and it's a who's who in the staging lanes. 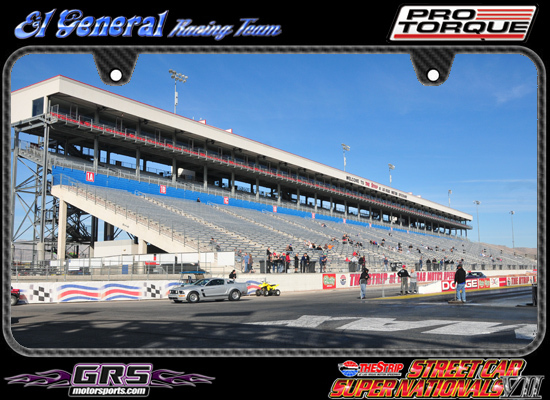 You will see champions past & present from the old & new NMCA, ADRL, IHRA, NSCA, NHRA, PSCA, Orlando, Shakedown @ E-town and many others at this race!!! 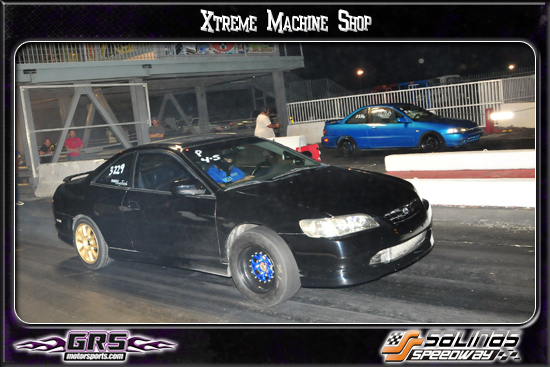 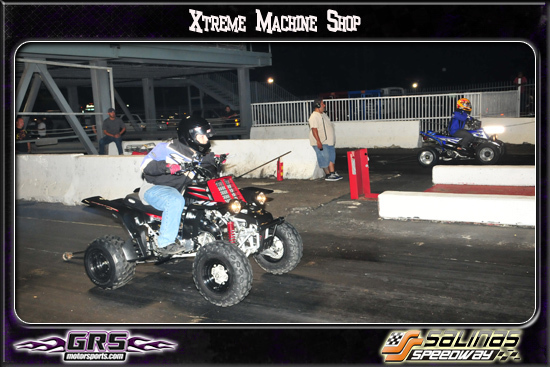 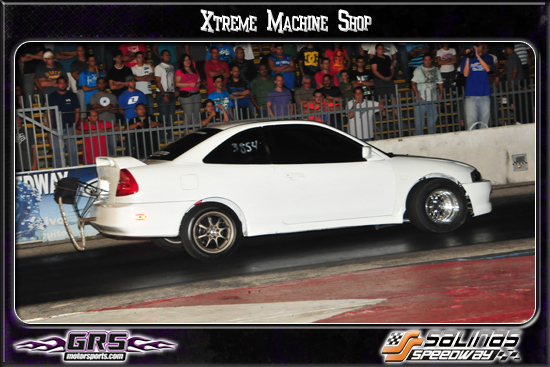 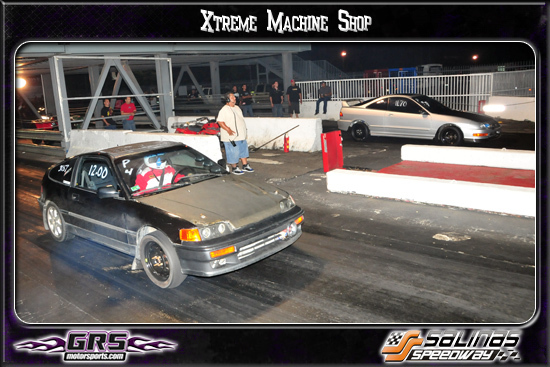 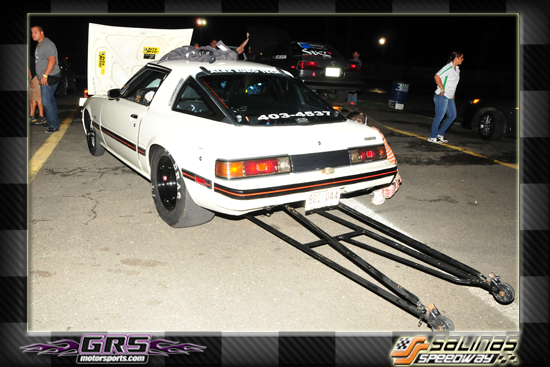 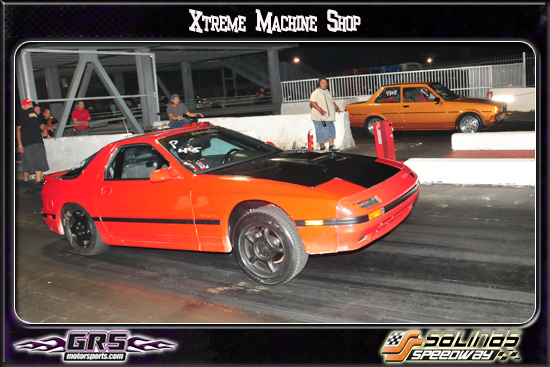 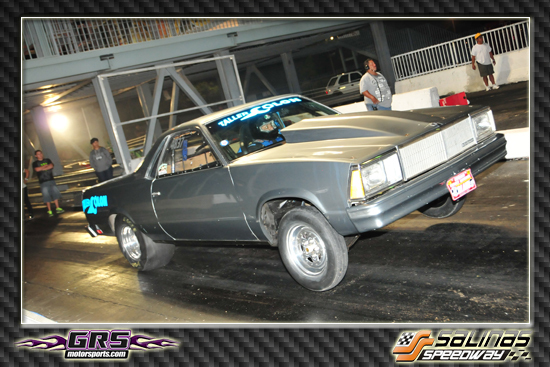 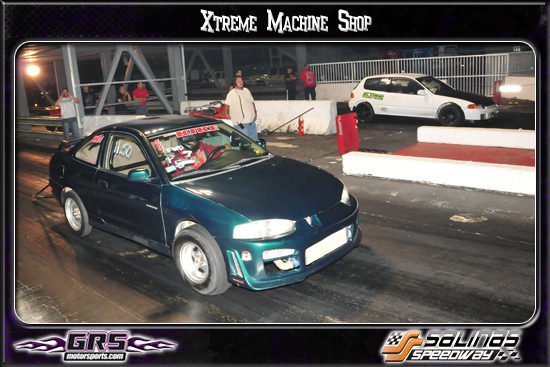 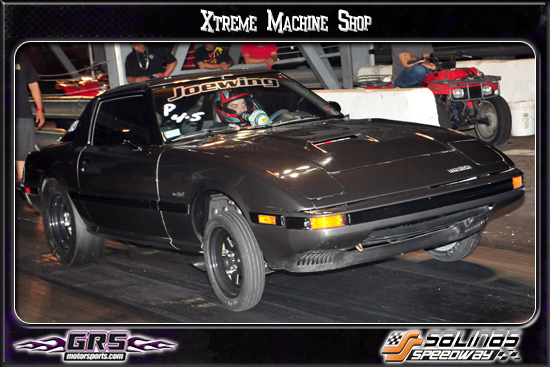 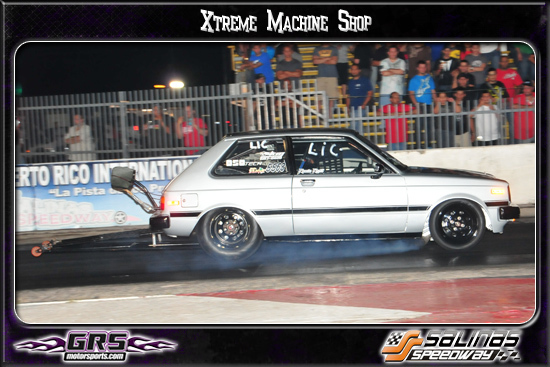 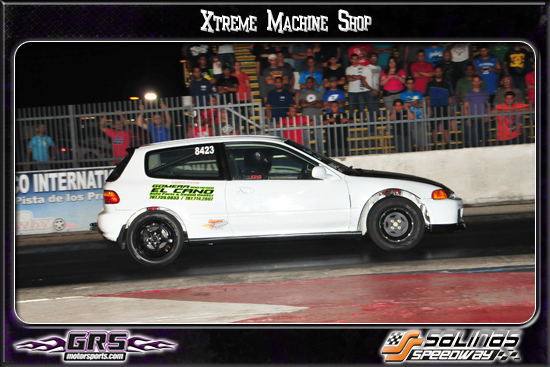 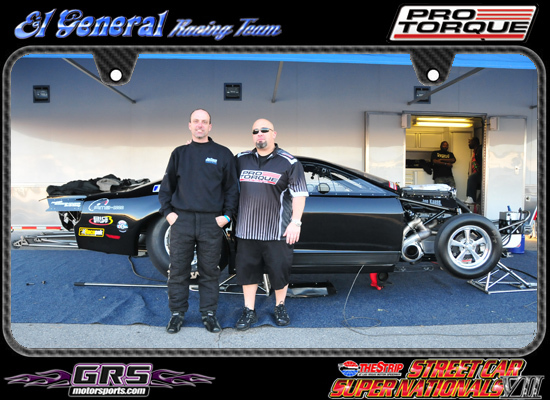 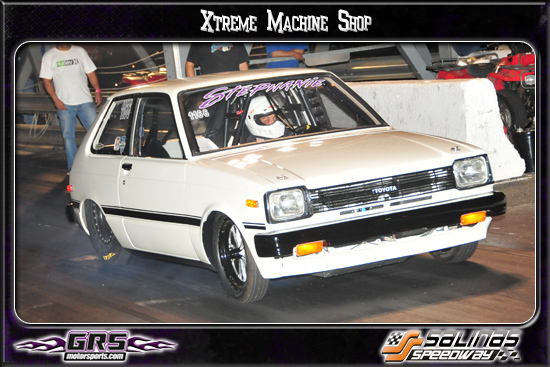 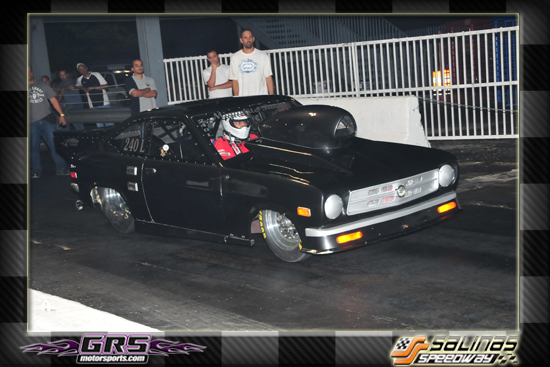 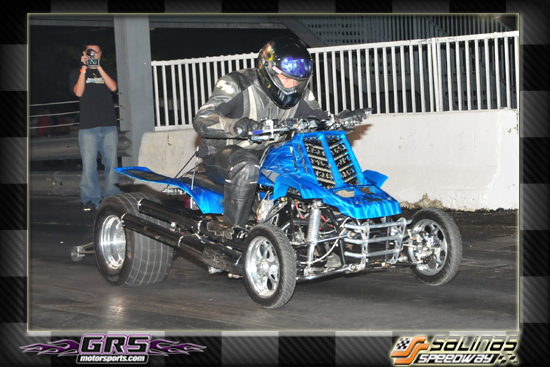 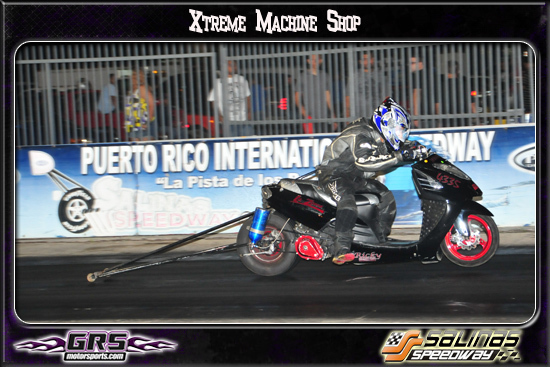 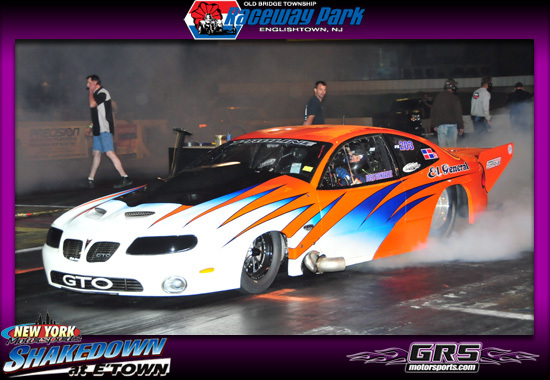 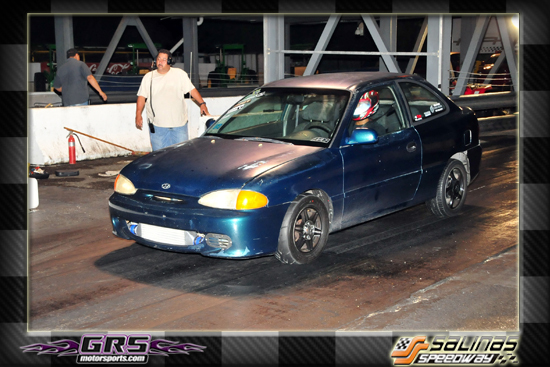 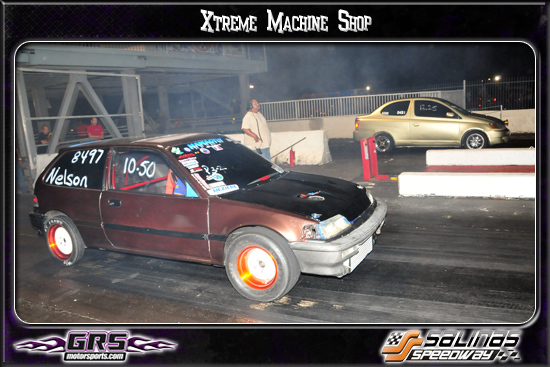 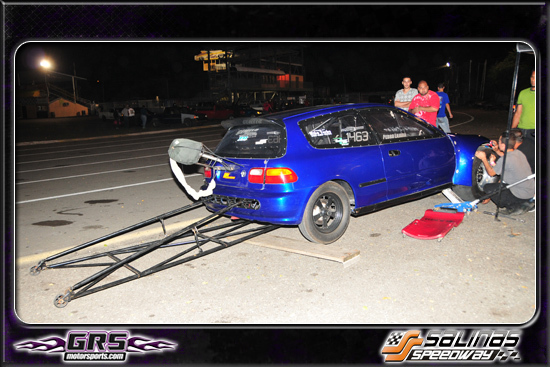 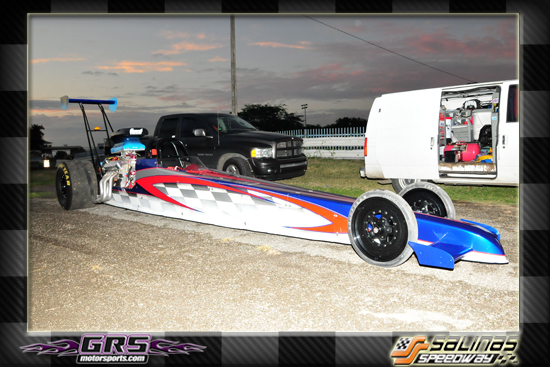 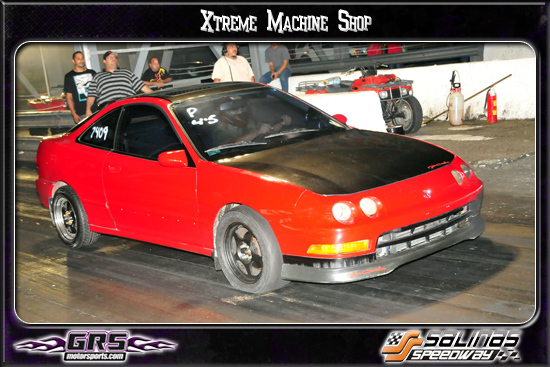 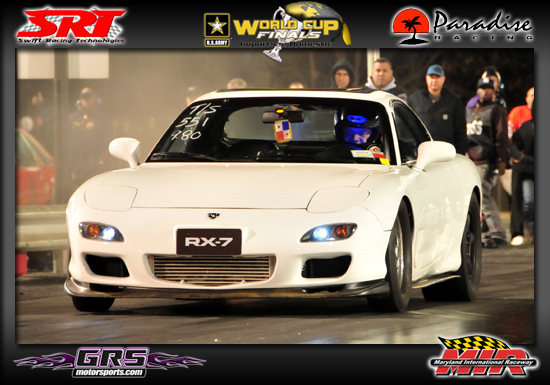 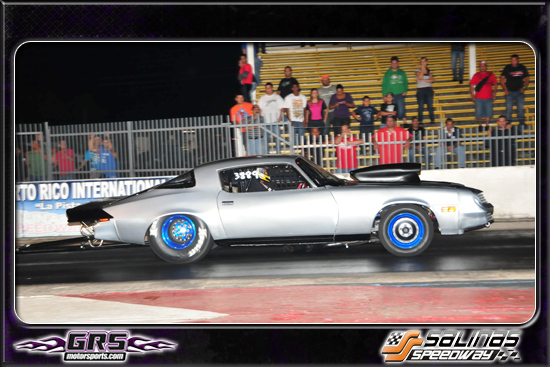 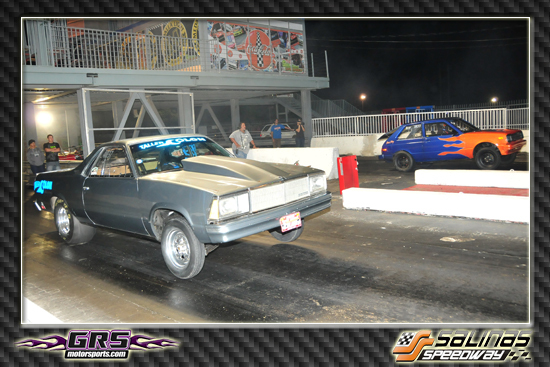 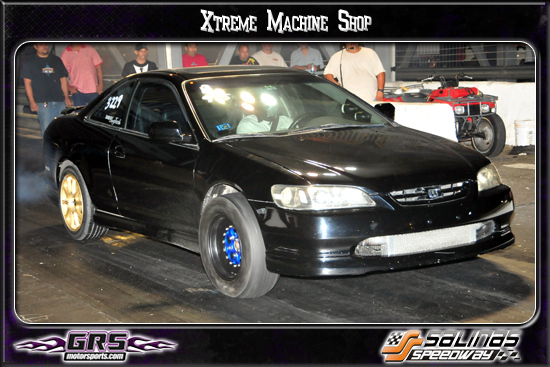 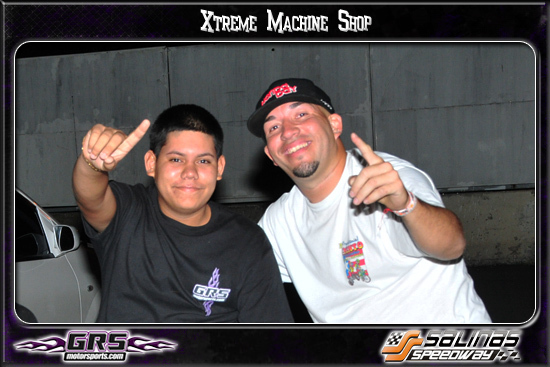 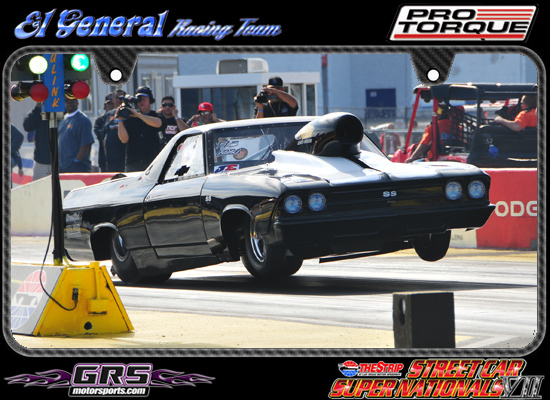 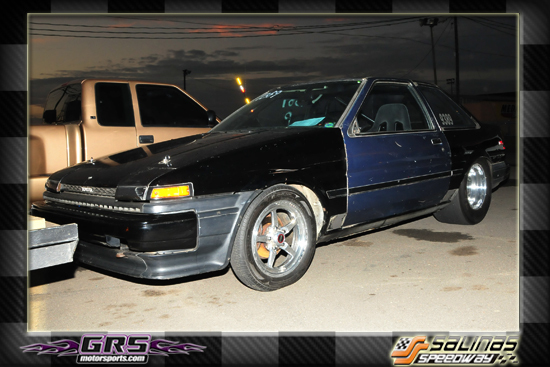 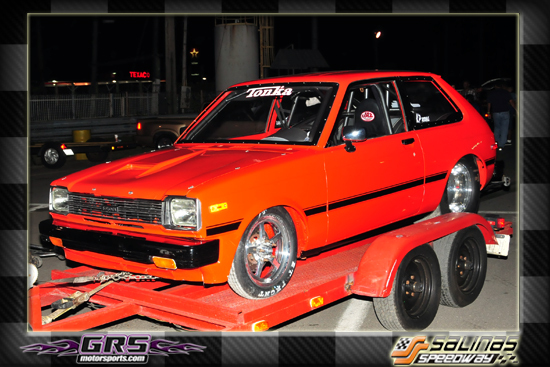 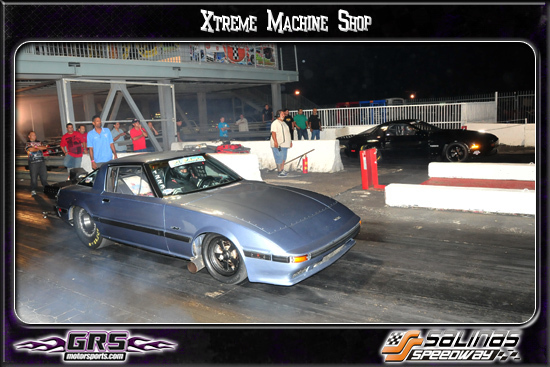 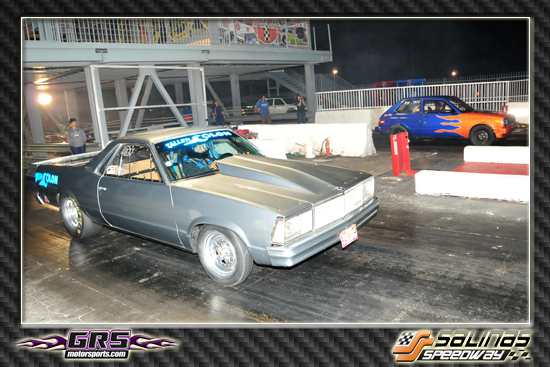 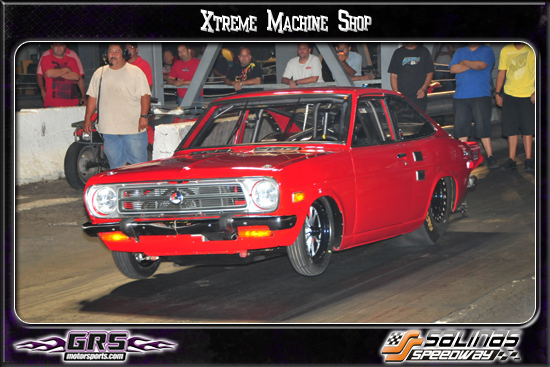 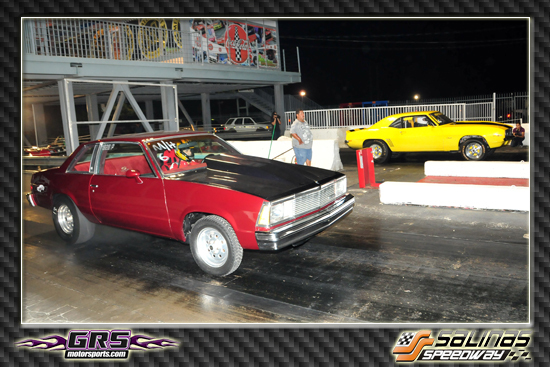 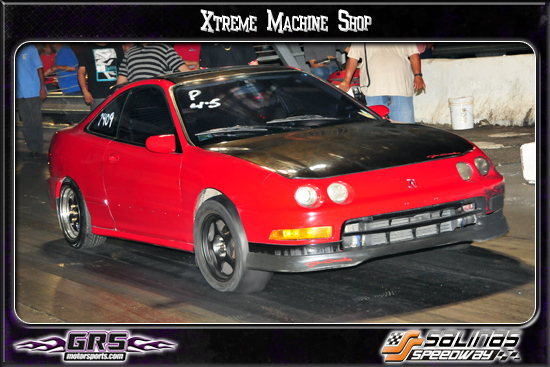 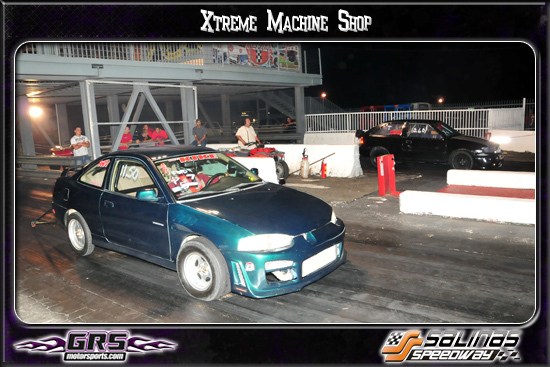 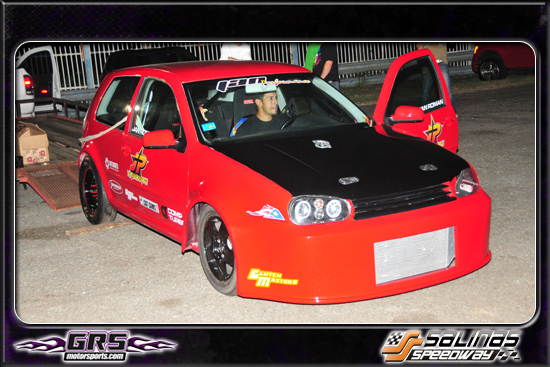 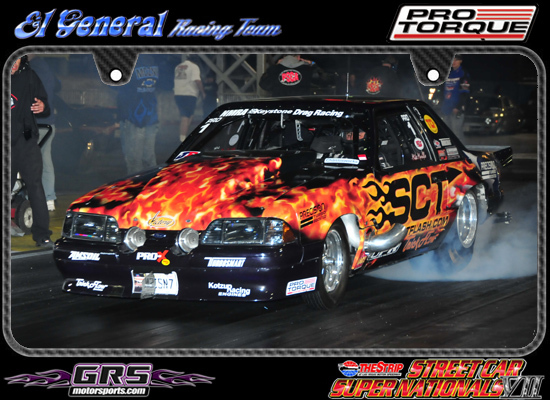 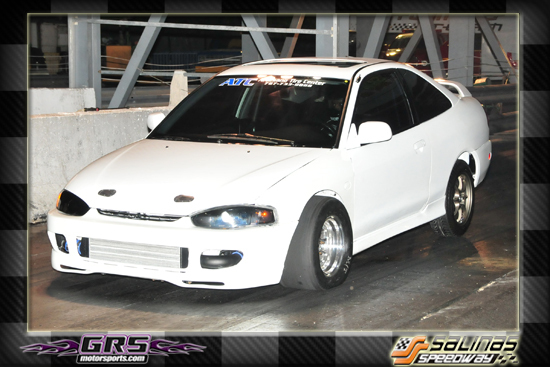 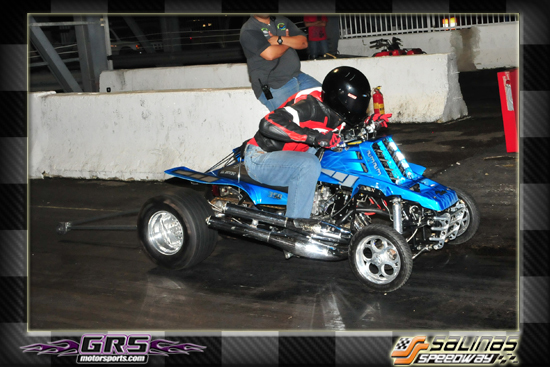 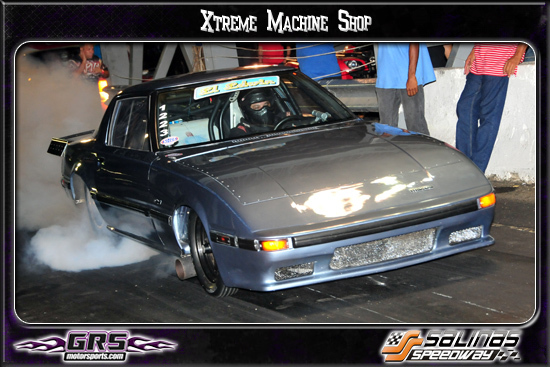 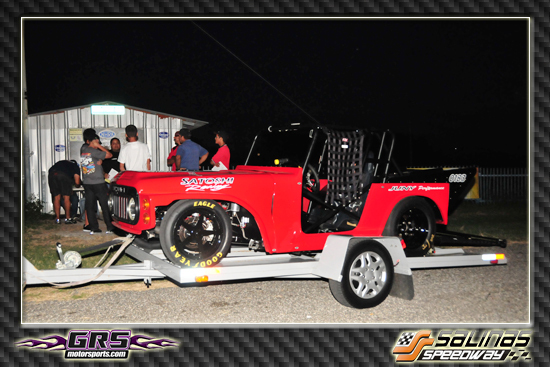 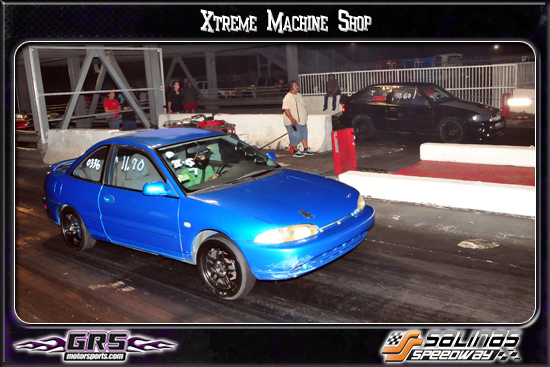 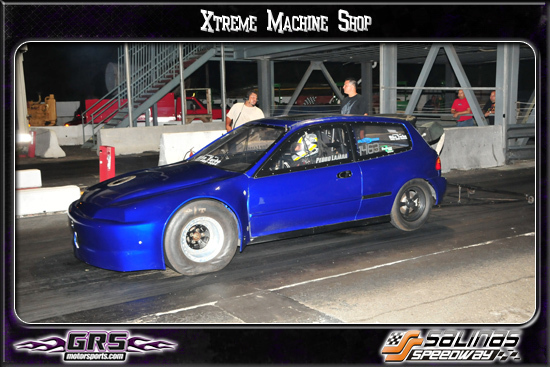 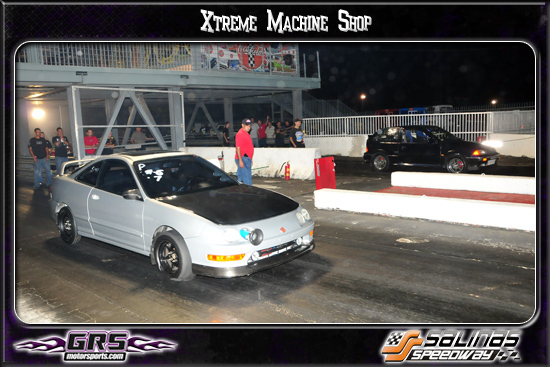 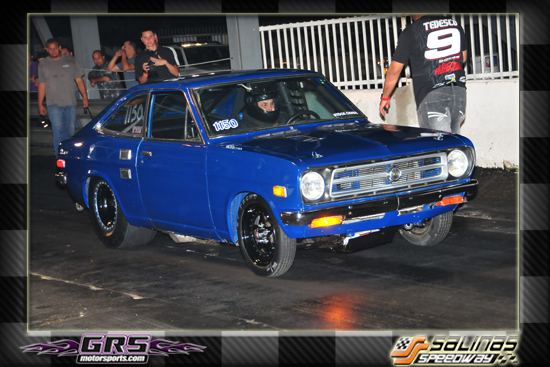 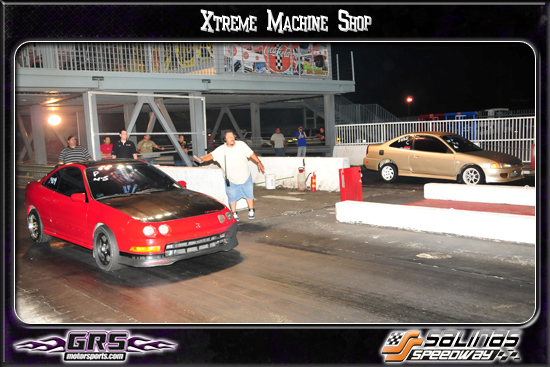 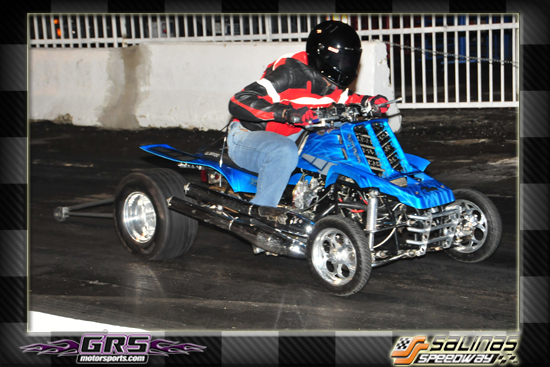 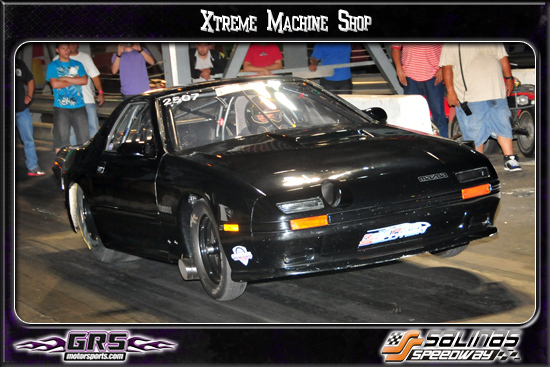 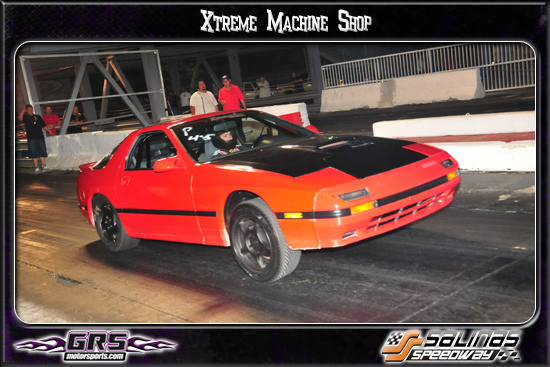 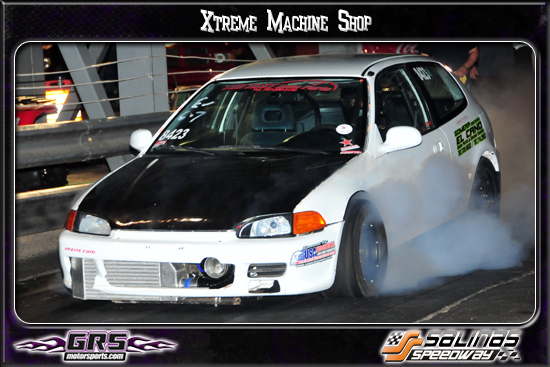 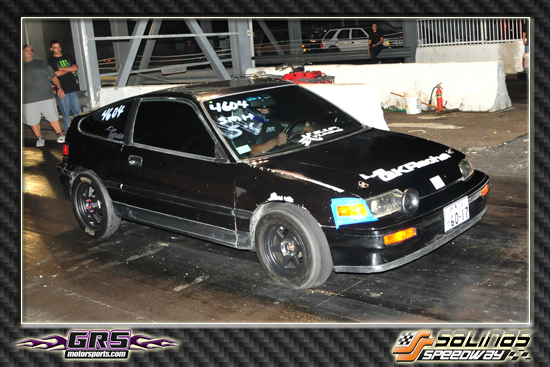 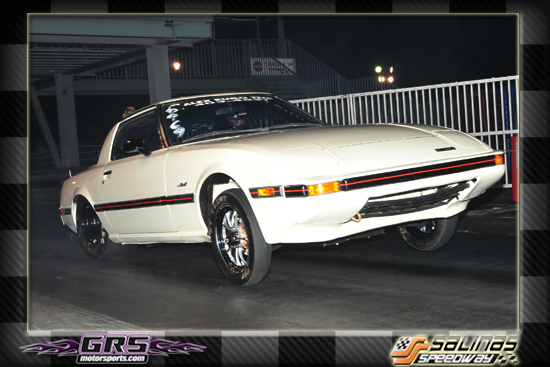 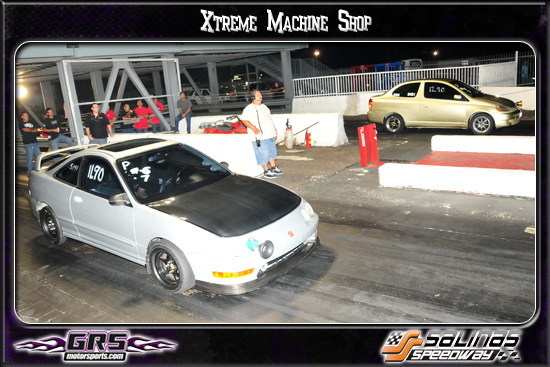 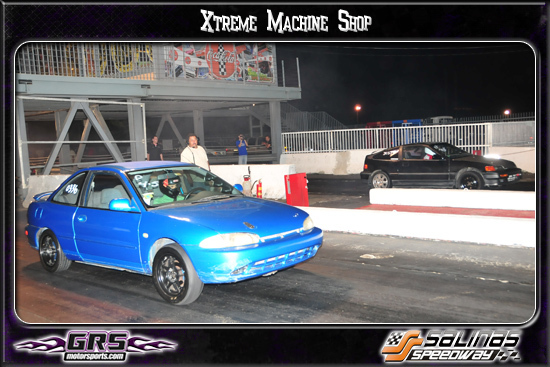 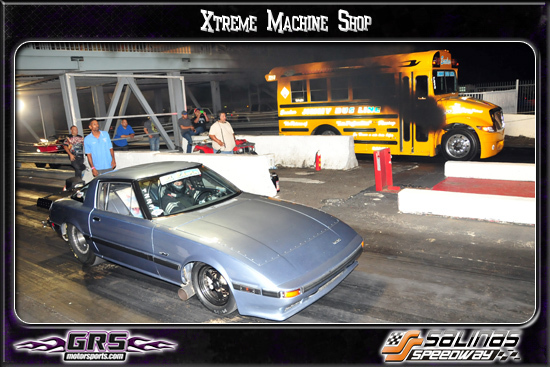 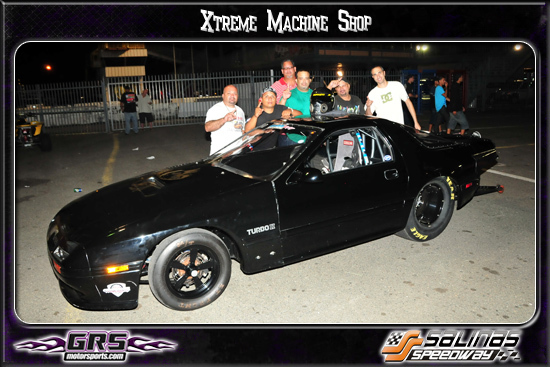 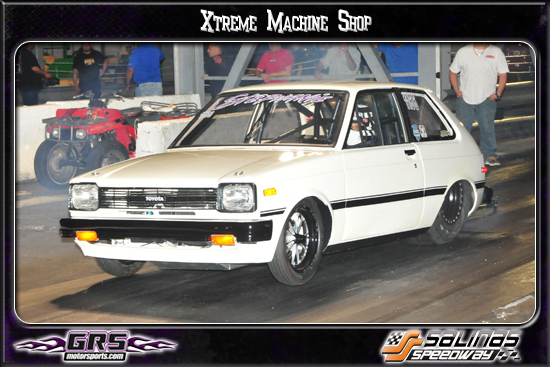 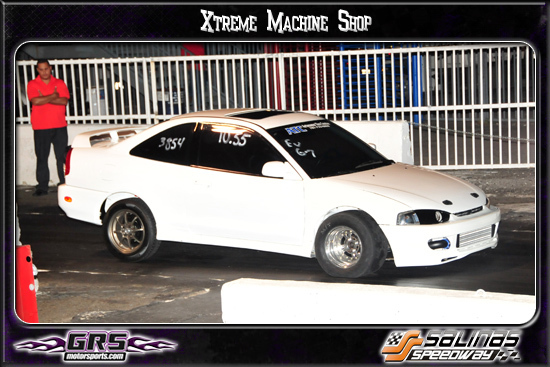 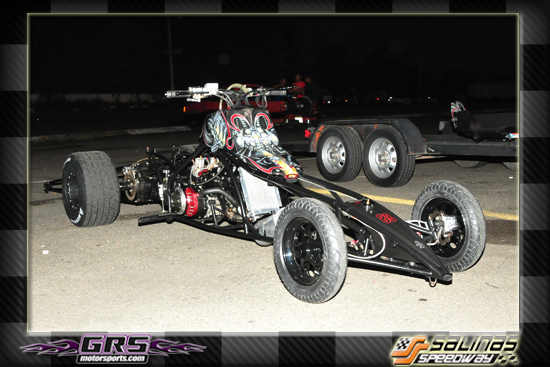 El General GTO de nuestros hermanos de la Republica Dominicana, ganador de la pasada edicion del Shakedwon @ Etown, dira presente representando la escuderia de Pro Line & Pro Torque, buscando ser el primer Pro Modified con gomas 10.5 en romper la barrera de los 5 segundos y ganar el premio de $8,000 dolares donado por la gente de Presicion Turbo, Big Stuff, Mickey Thompson & Pro Line. 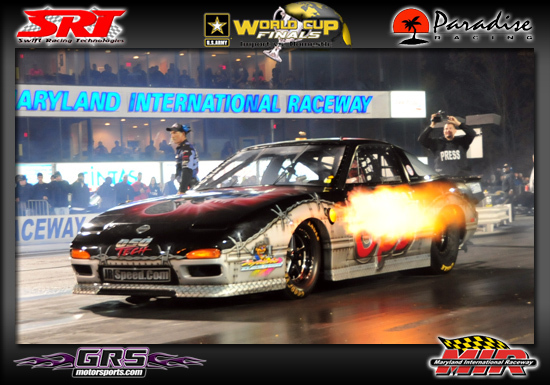 Dale and Roy Moznik, Artis Houston, Brad Brand, Carl Stevens, Greg Seth Hunter, Rick Snavely. 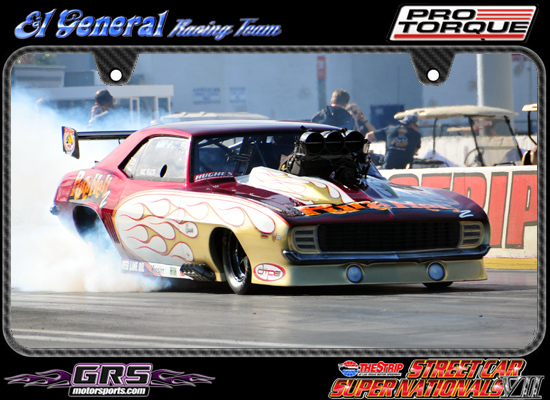 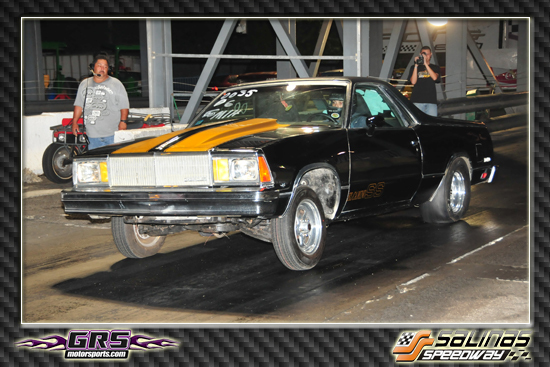 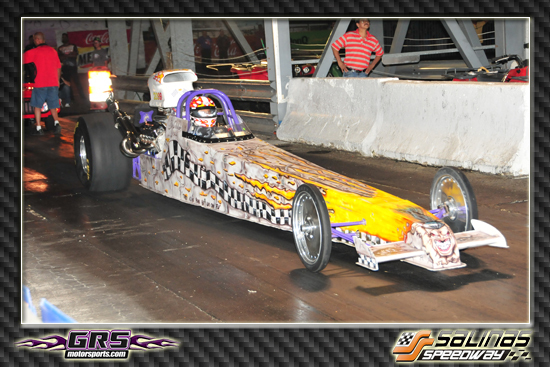 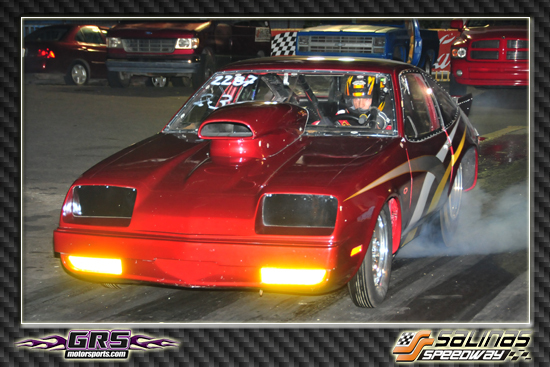 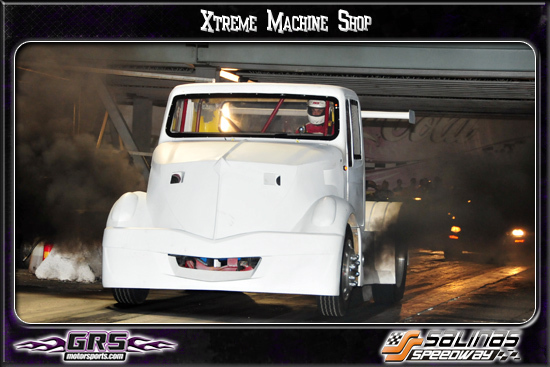 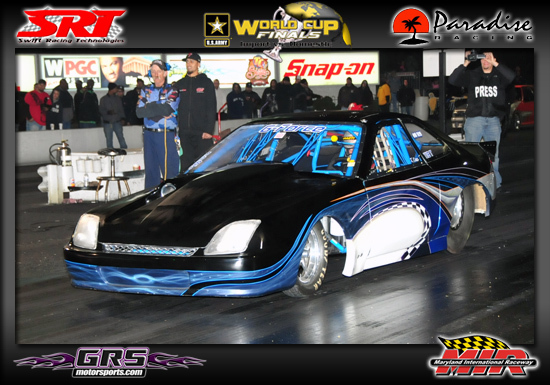 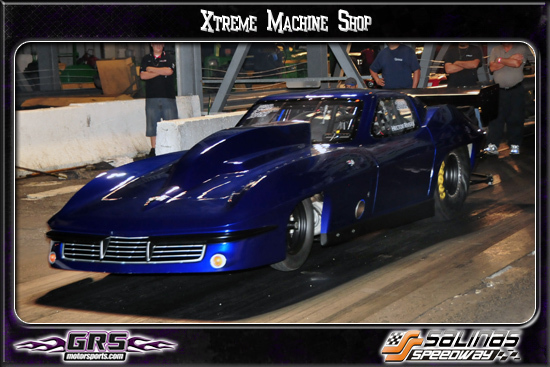 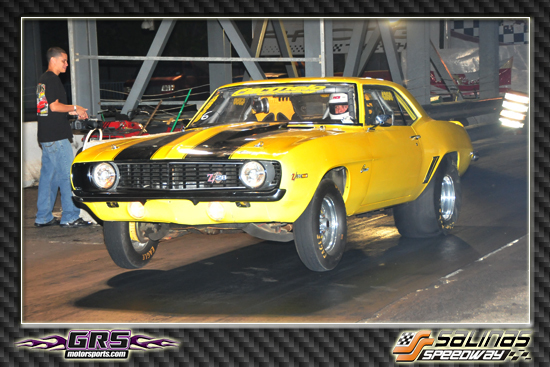 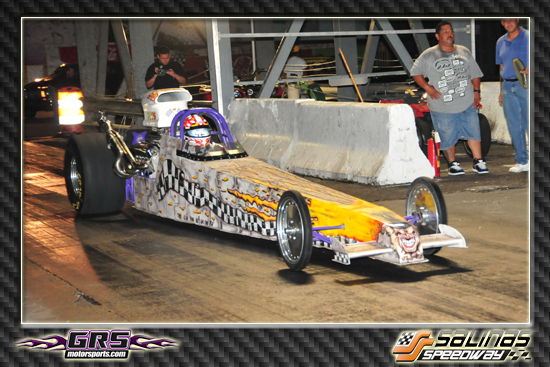 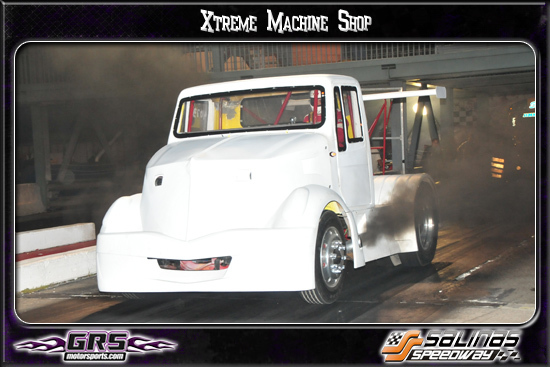 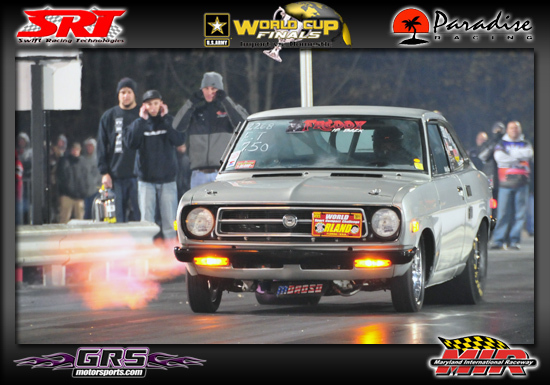 Who: Over 50 Pro Street/Pro Mods, 32 Outlaw 10.5's, and another 250+ of the baddest hot rods on the planet!! 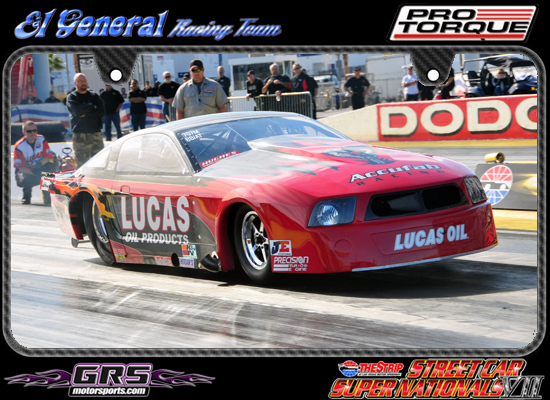 Plus the Lucas Oil Car Show Series!! 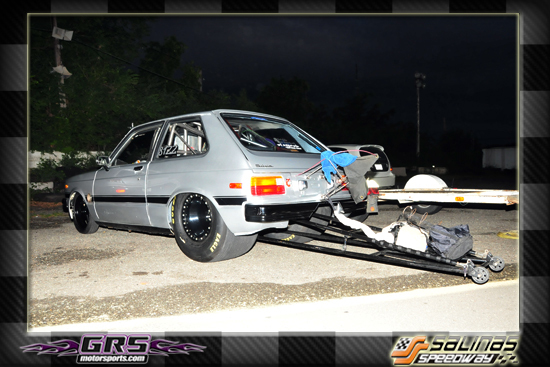 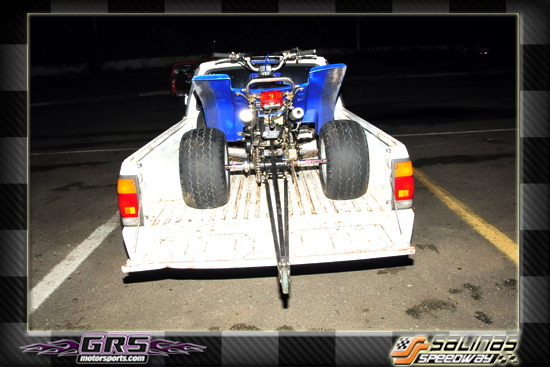 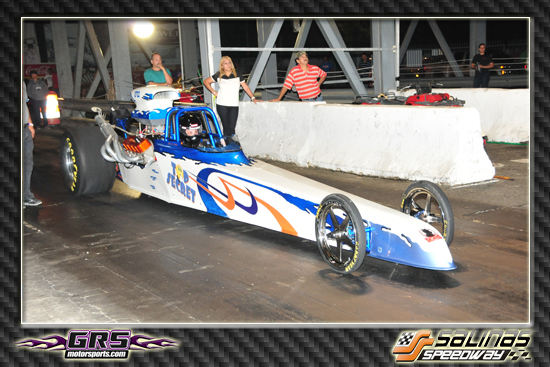 Felicidades al Team Dayaal Racing por su nueva marca. 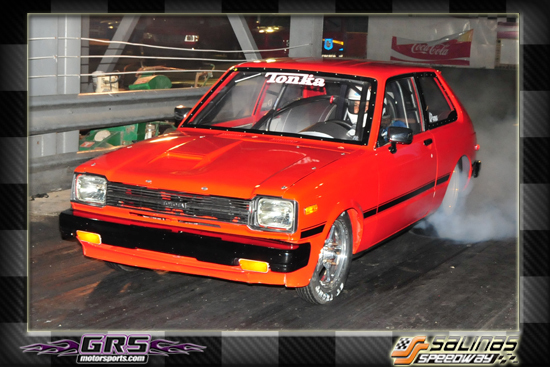 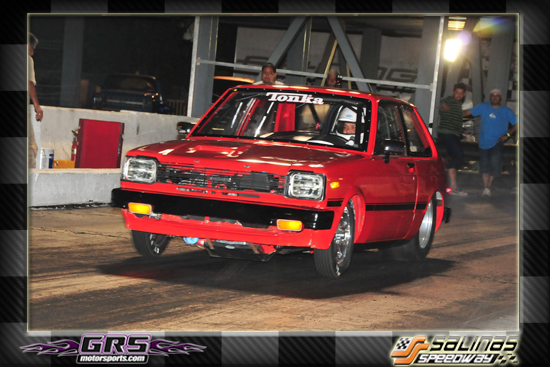 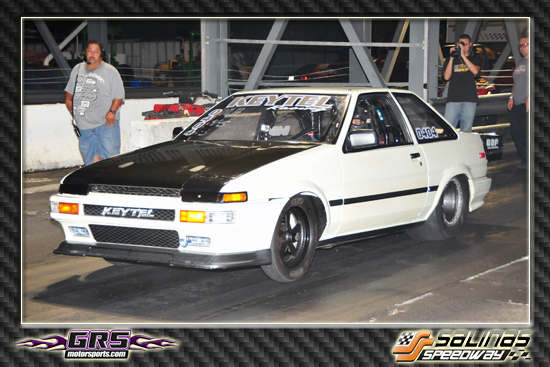 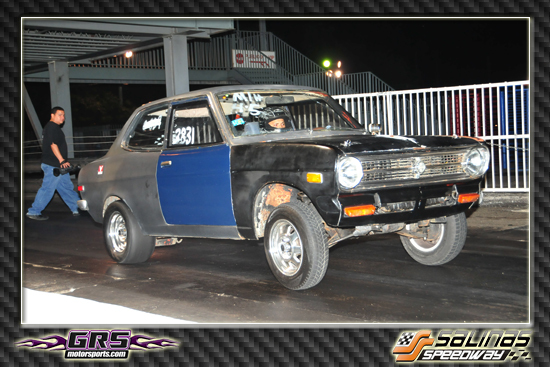 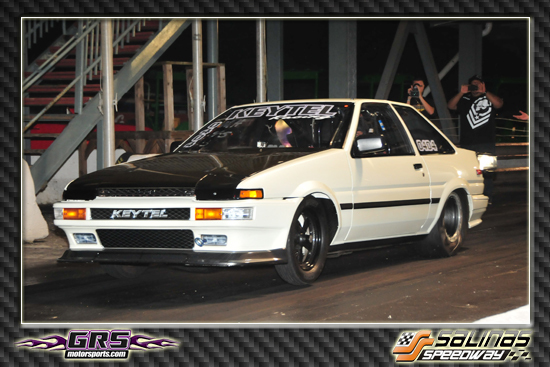 Felicidades al Keytel Racing Team por su nueva marca personal. 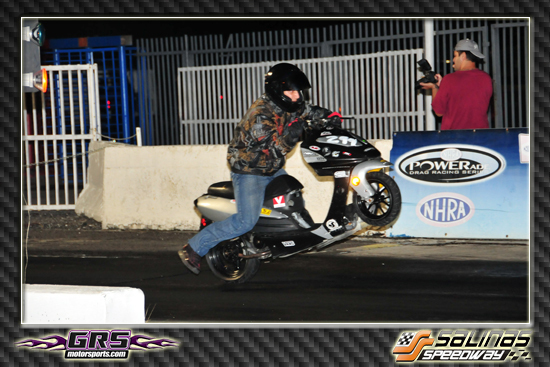 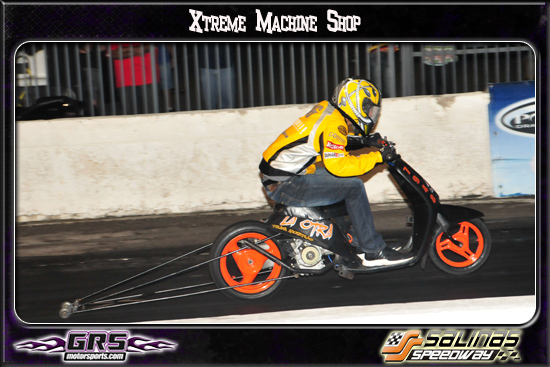 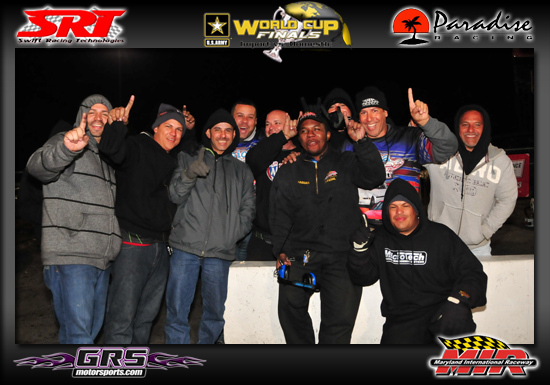 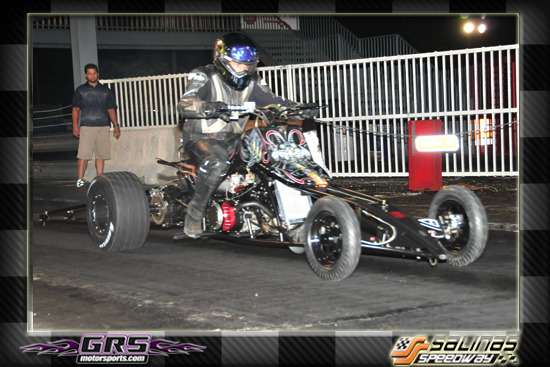 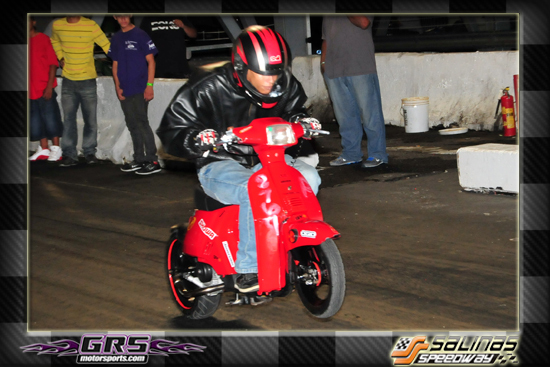 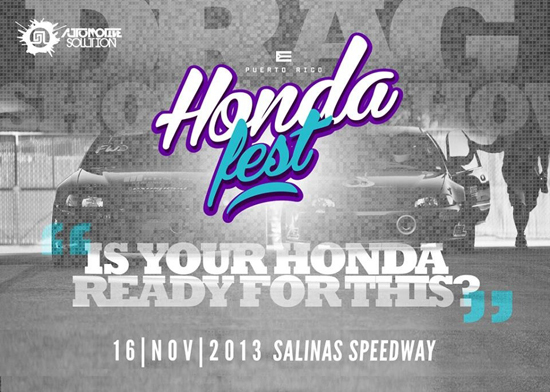 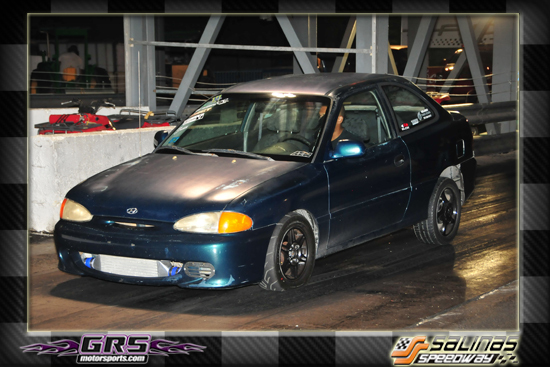 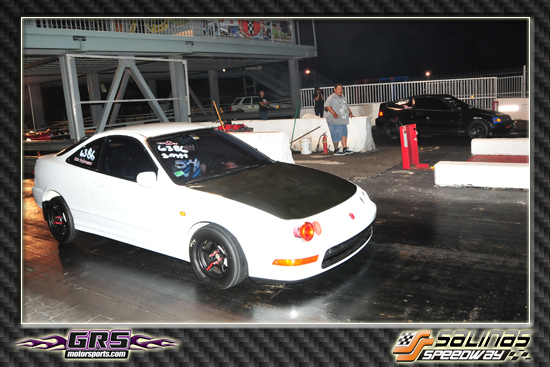 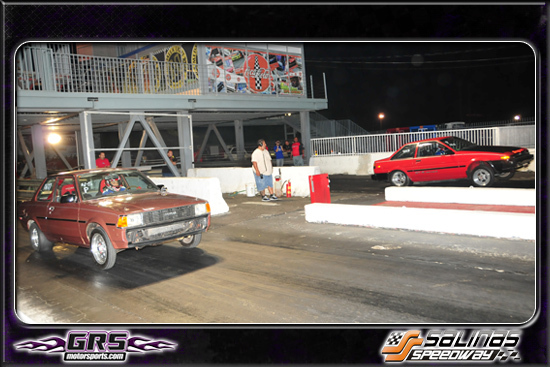 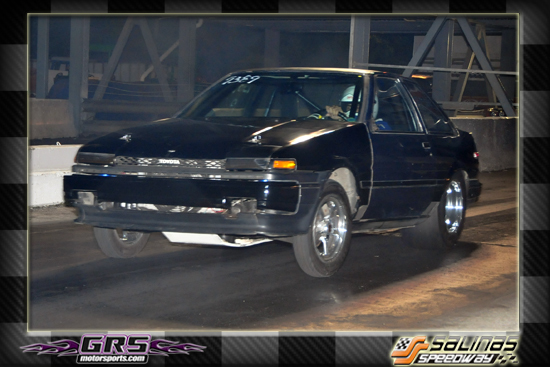 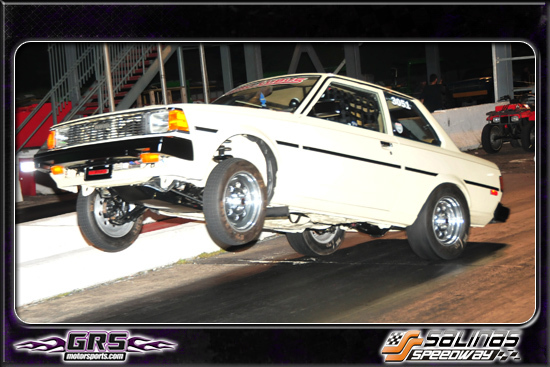 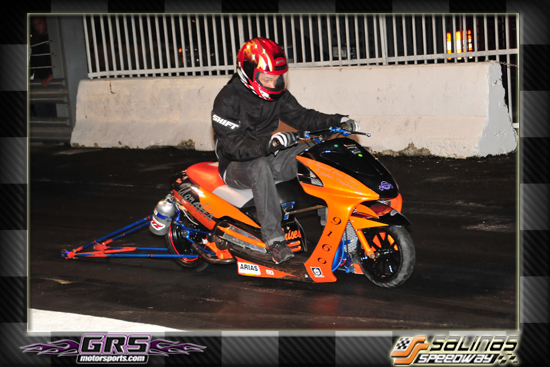 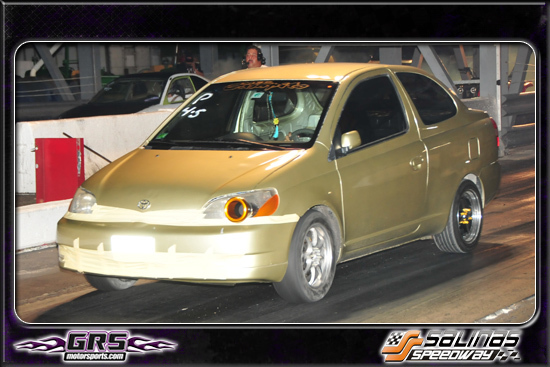 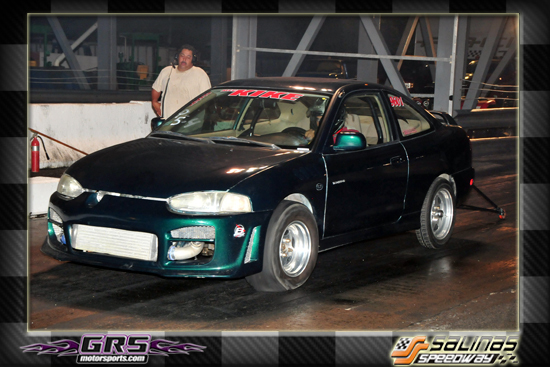 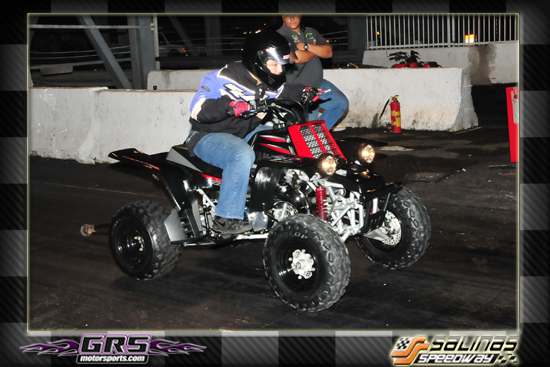 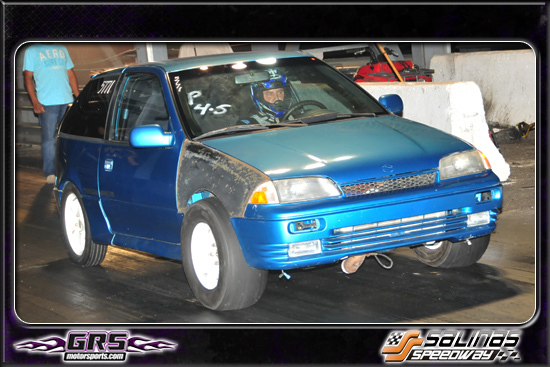 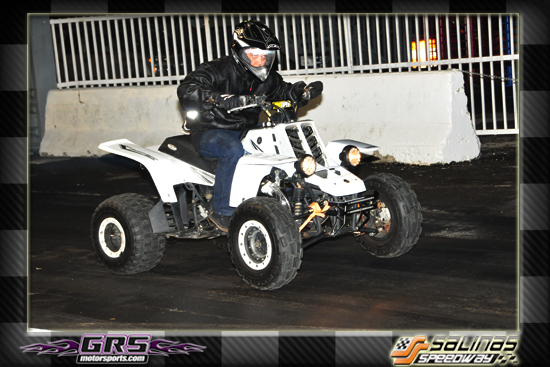 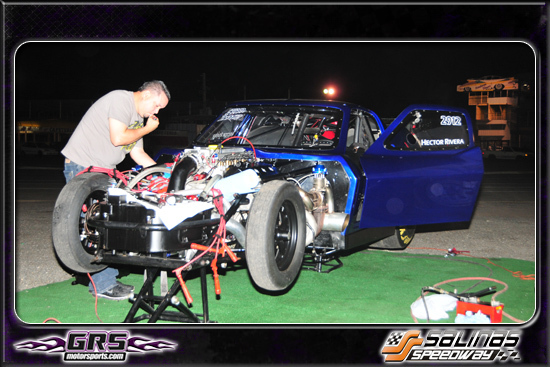 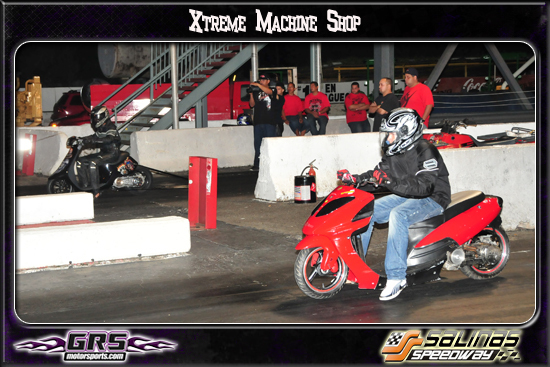 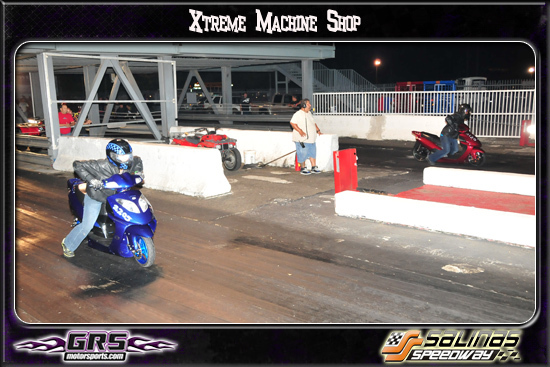 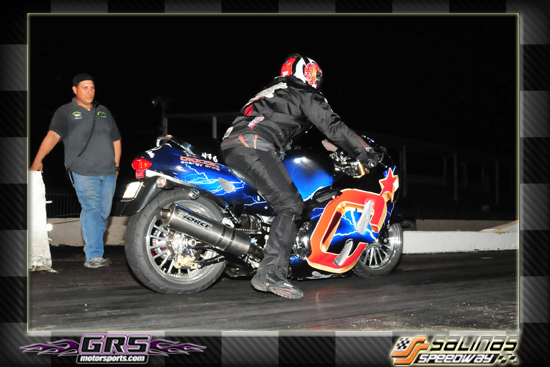 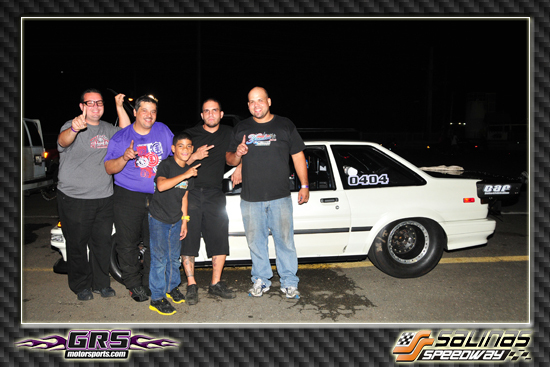 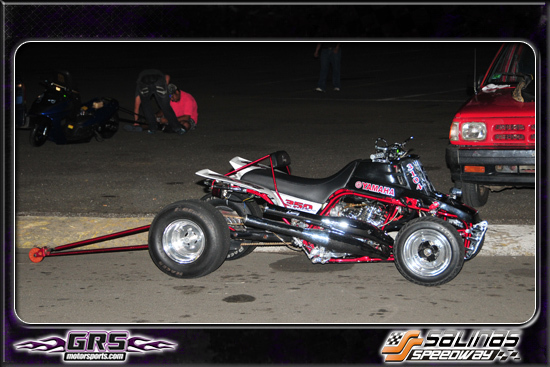 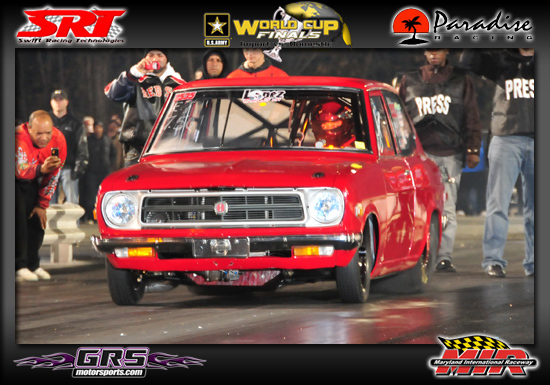 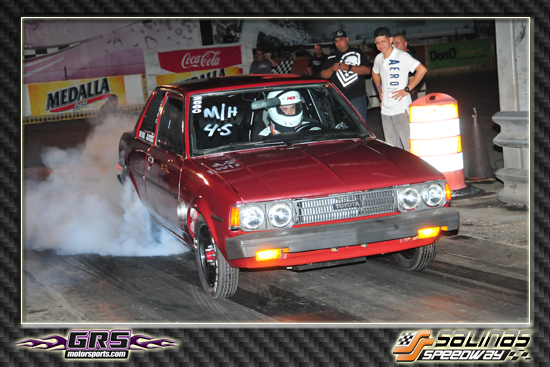 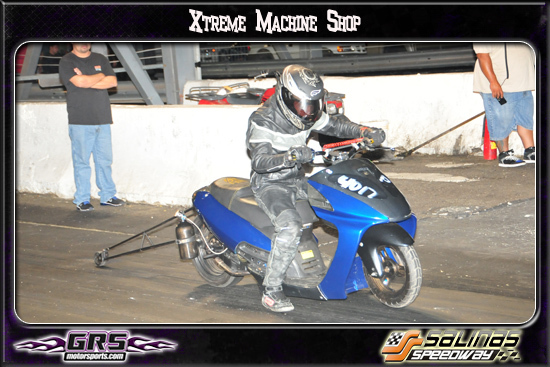 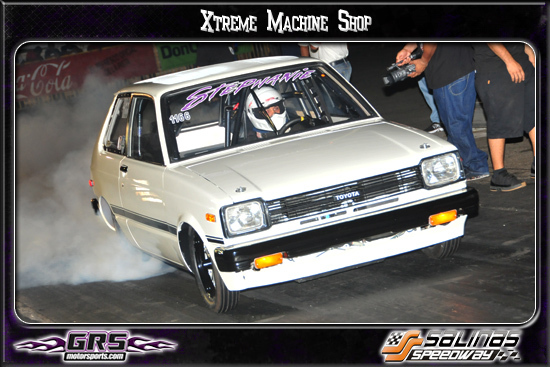 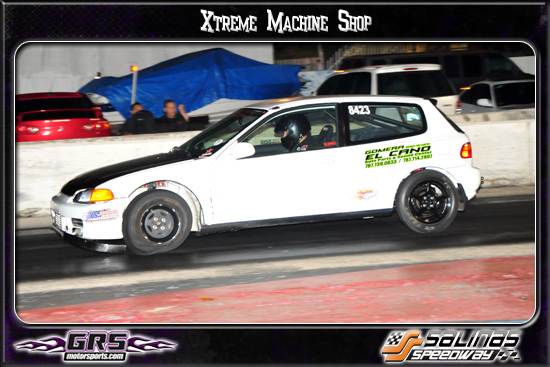 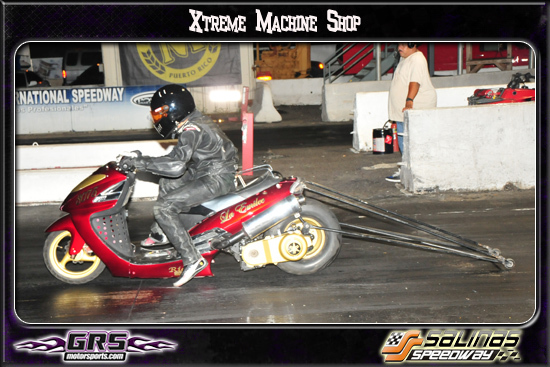 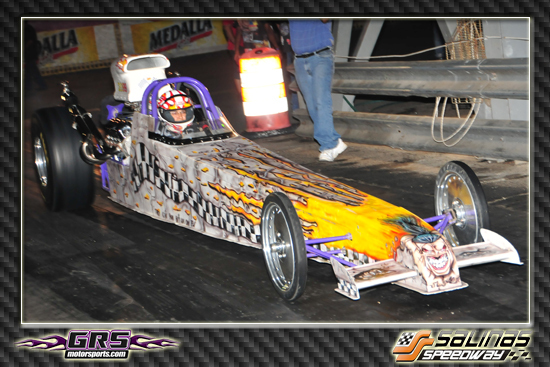 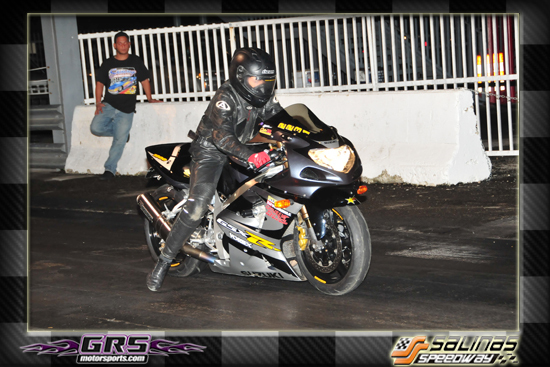 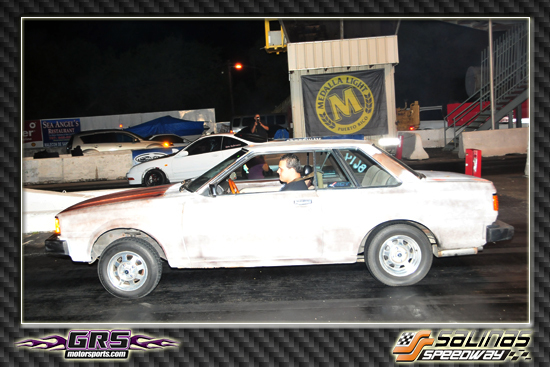 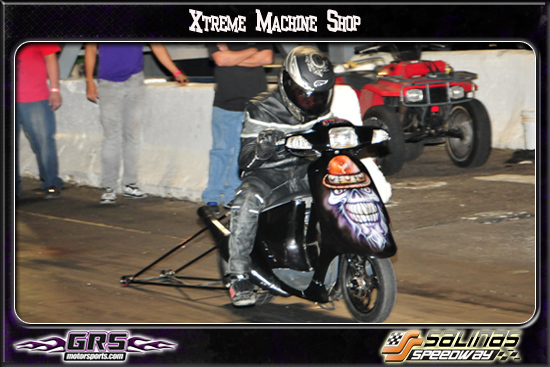 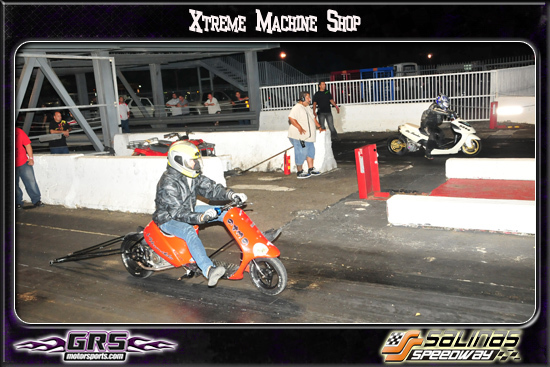 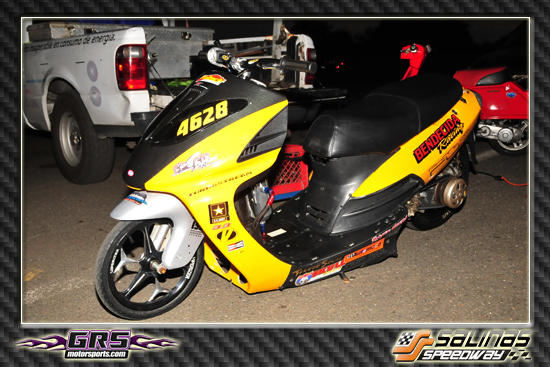 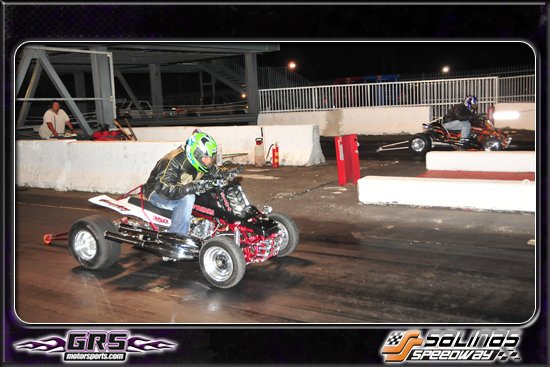 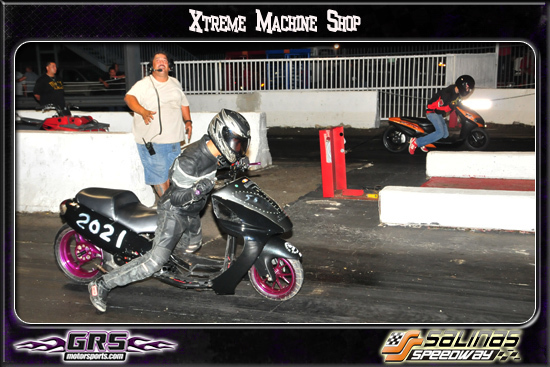 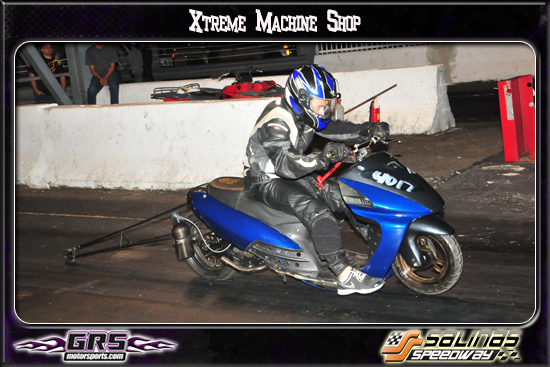 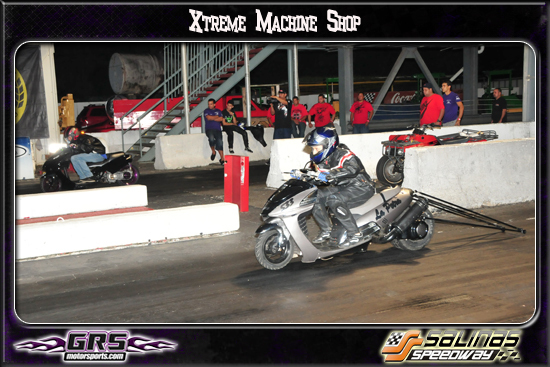 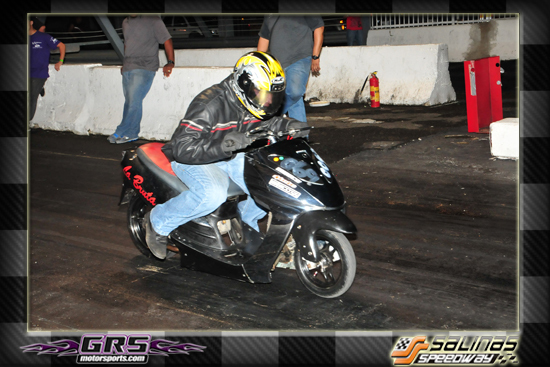 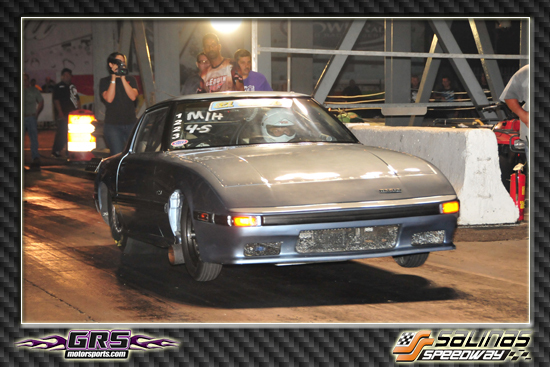 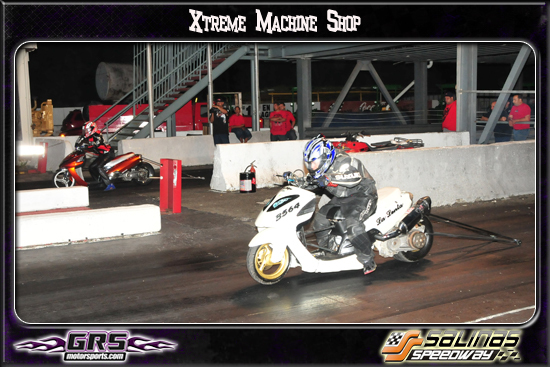 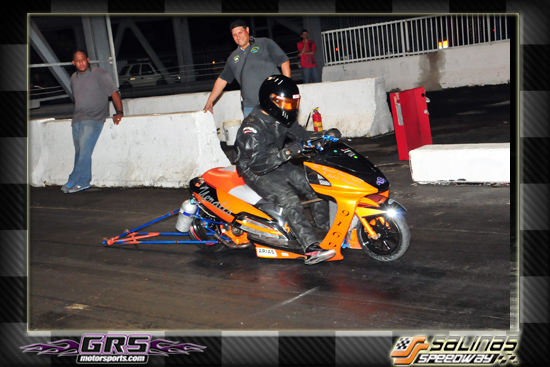 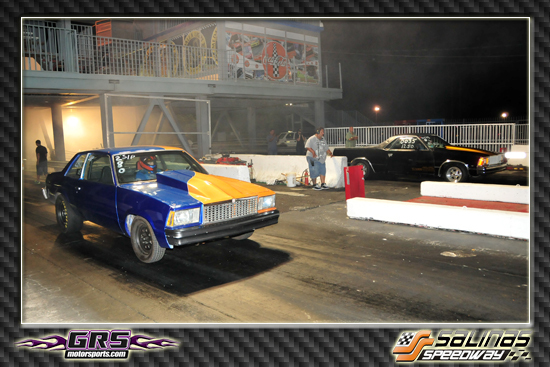 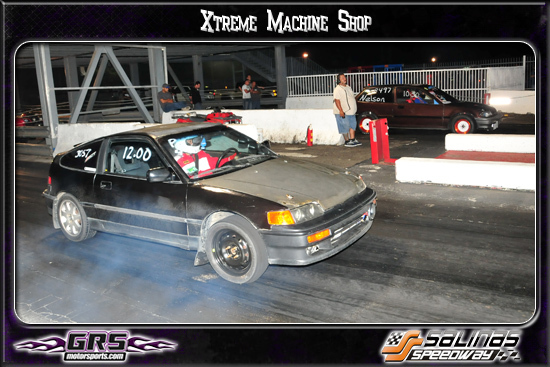 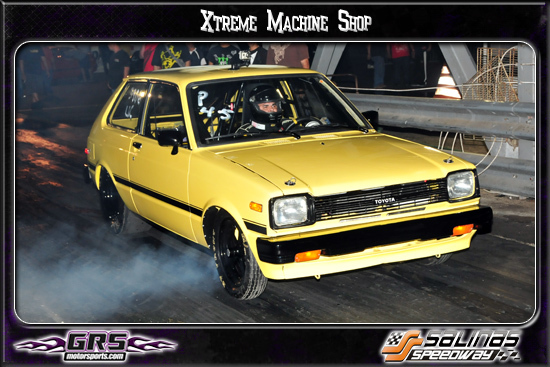 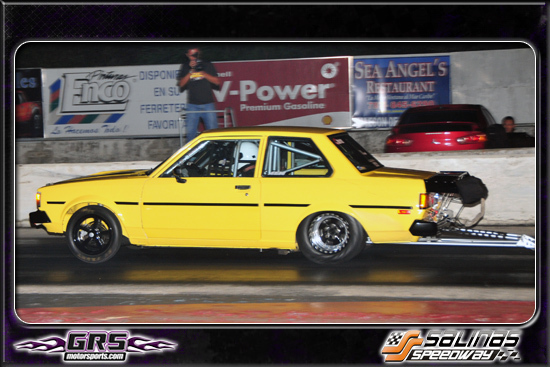 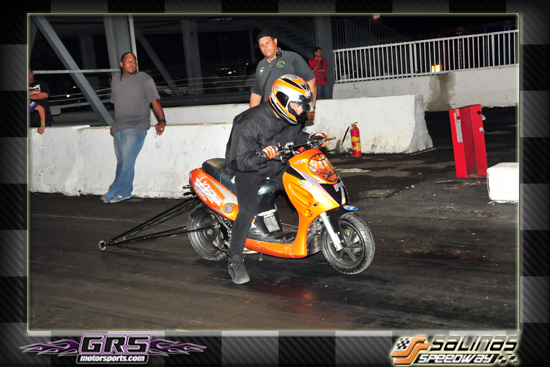 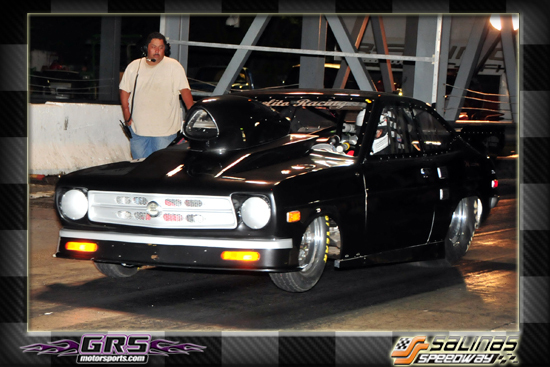 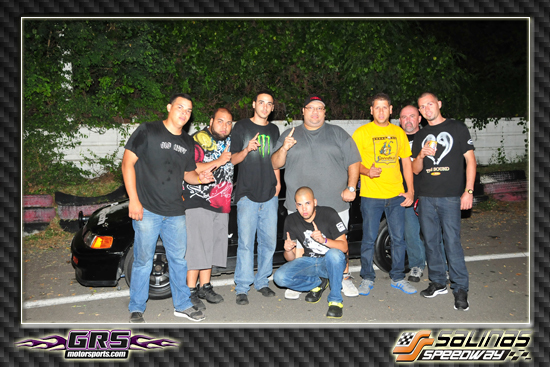 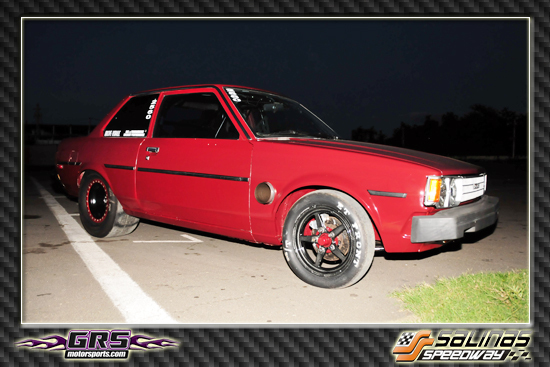 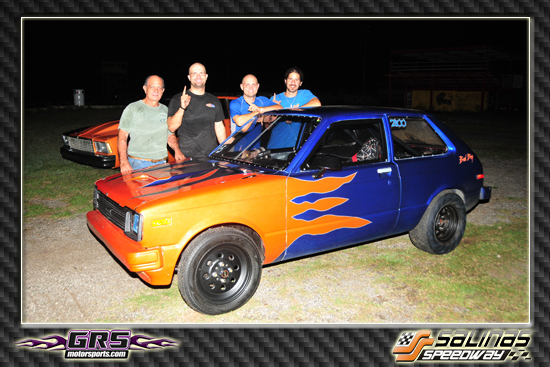 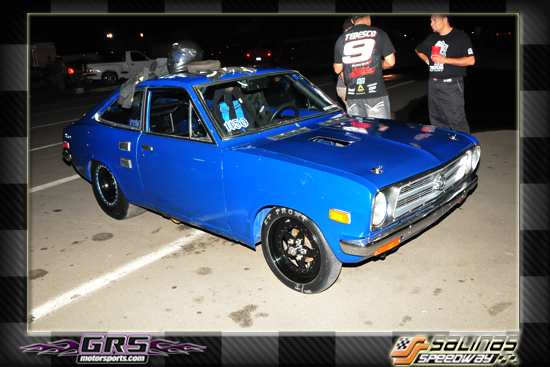 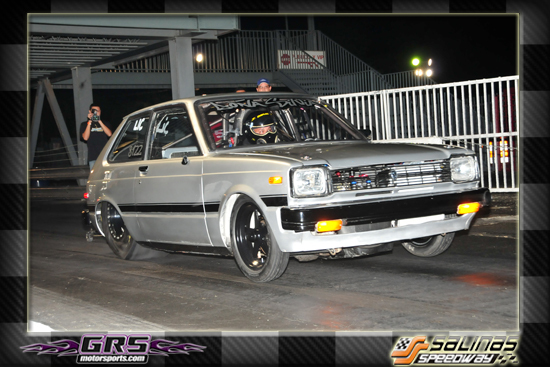 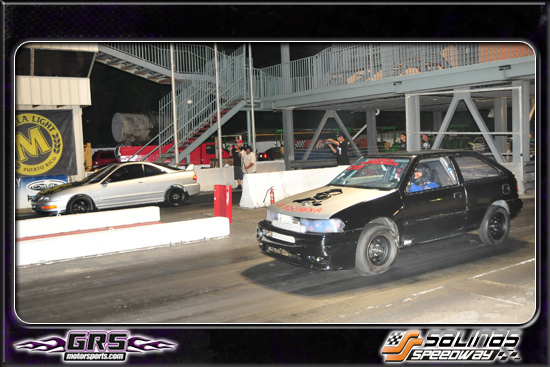 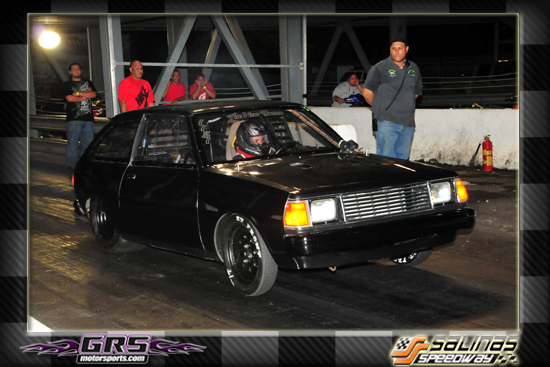 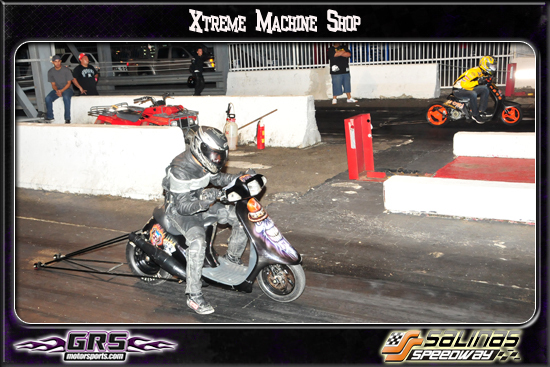 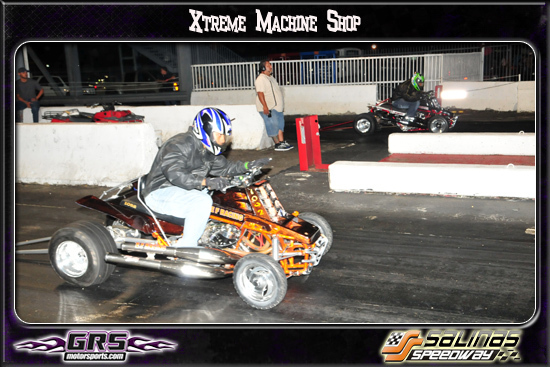 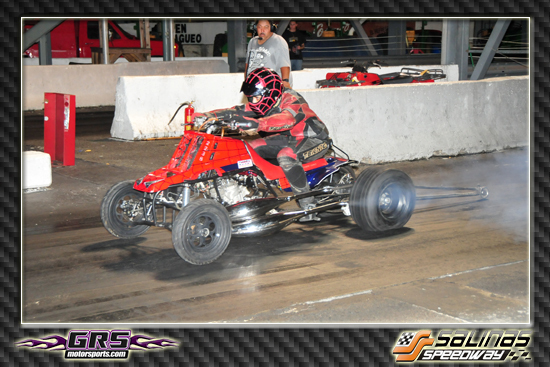 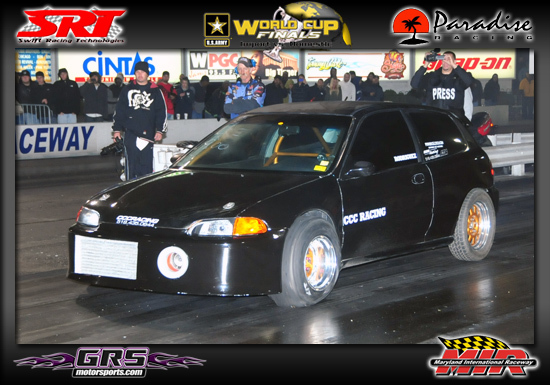 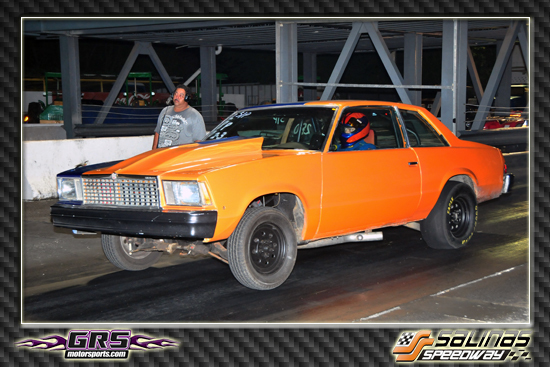 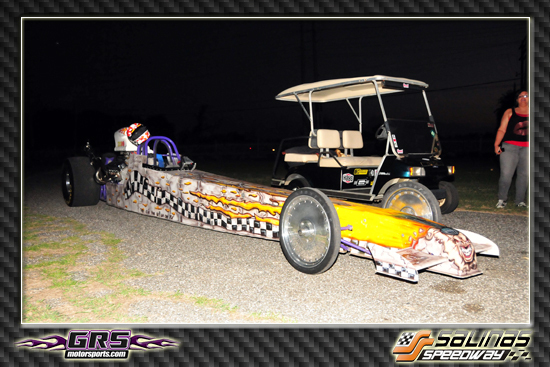 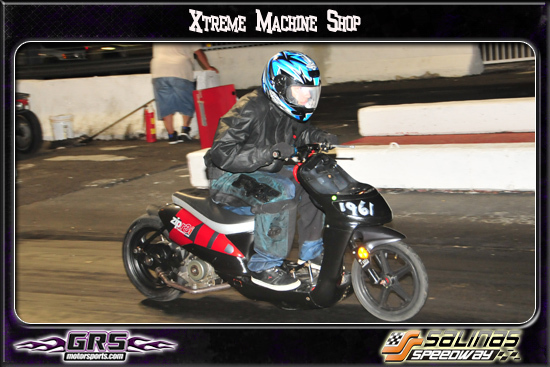 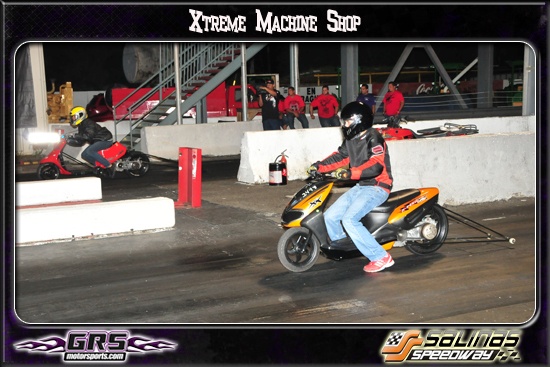 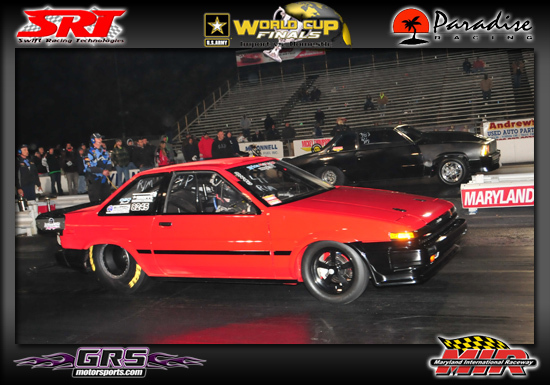 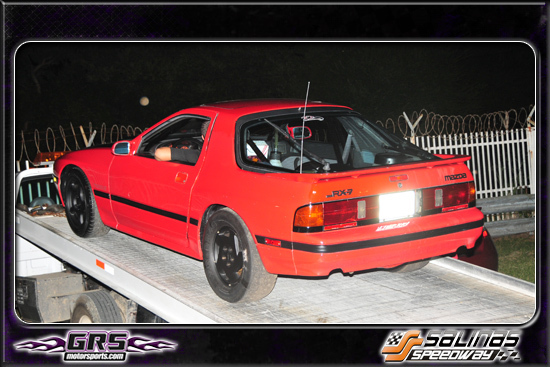 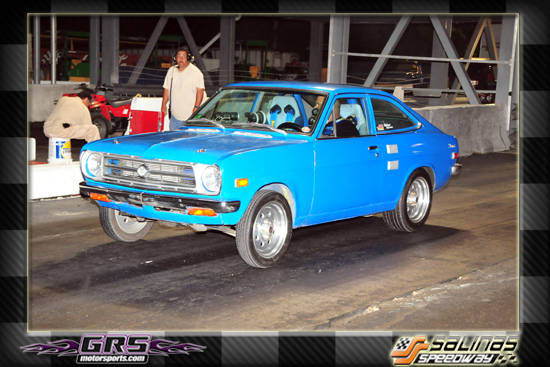 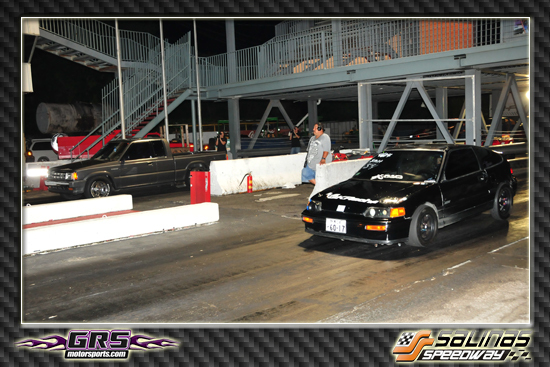 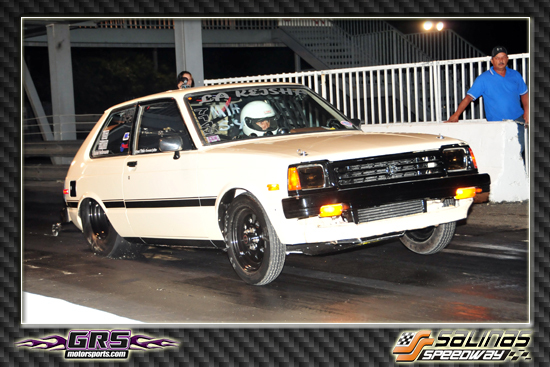 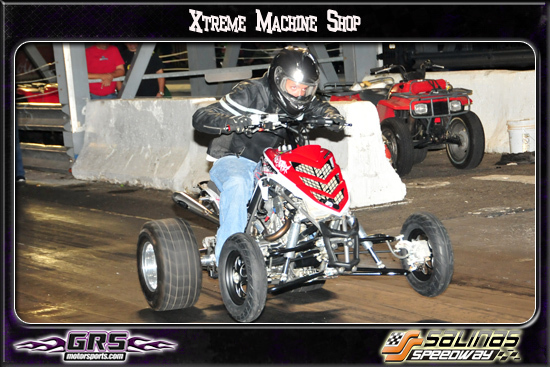 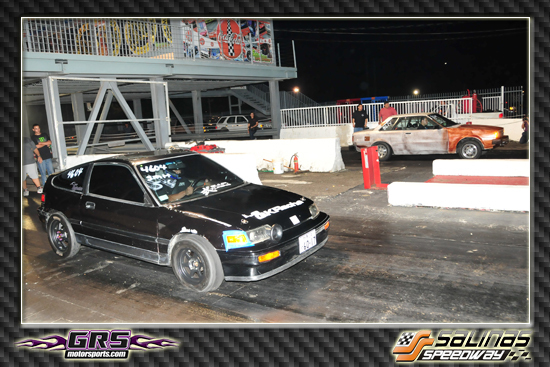 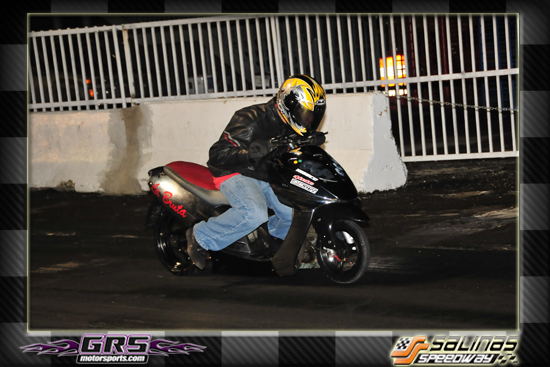 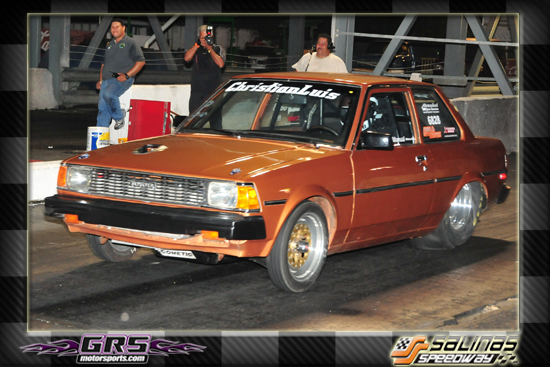 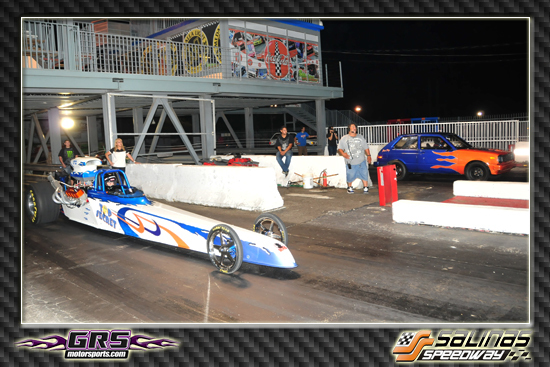 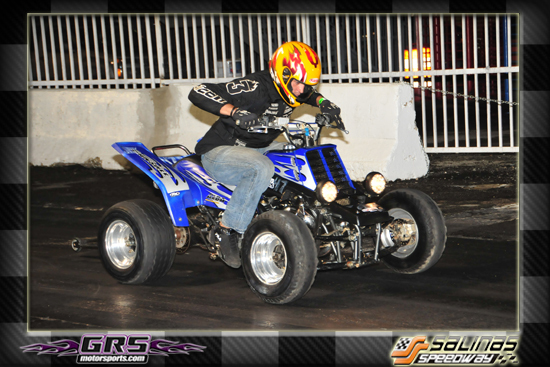 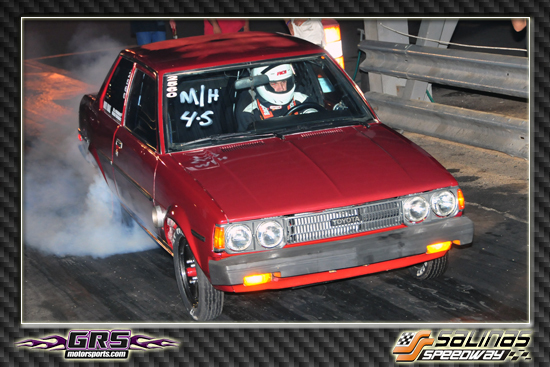 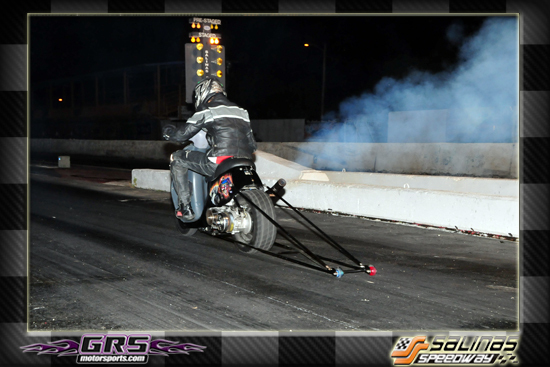 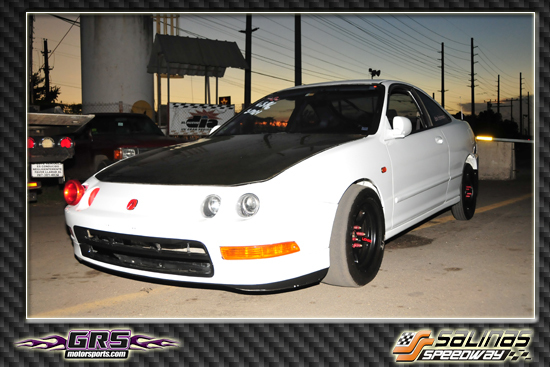 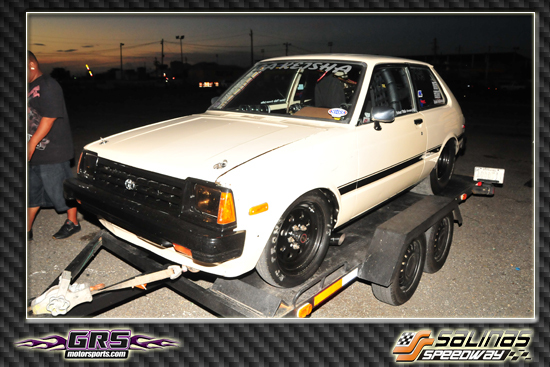 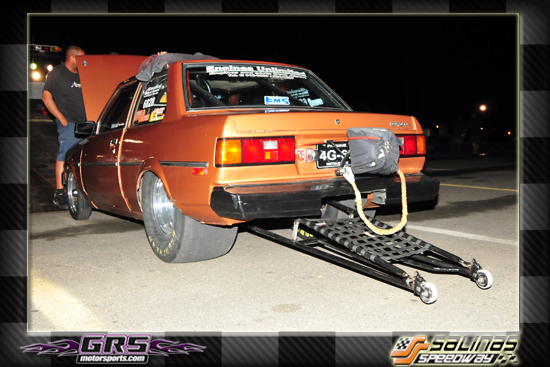 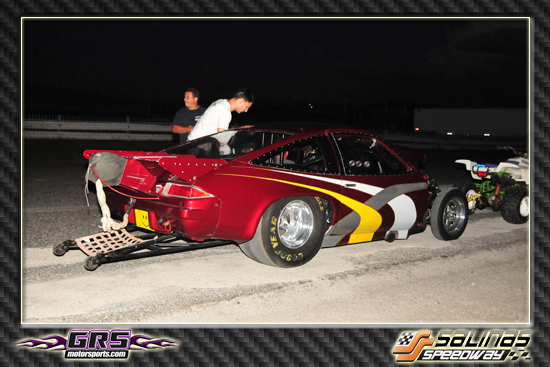 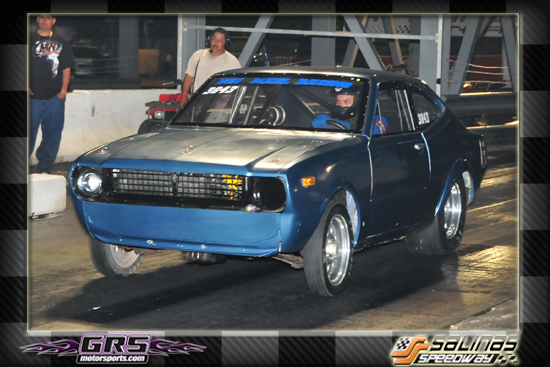 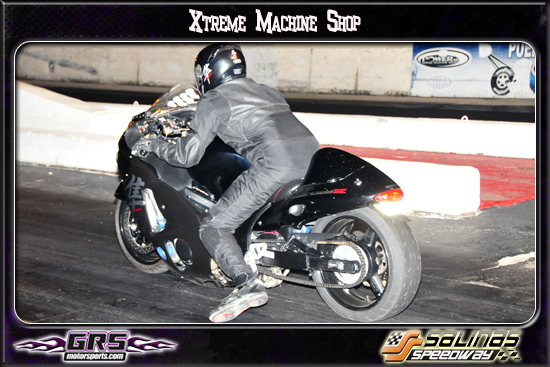 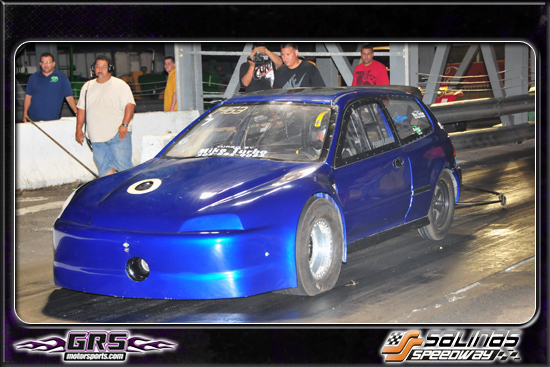 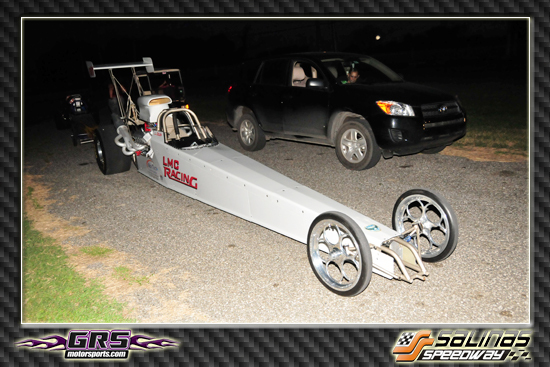 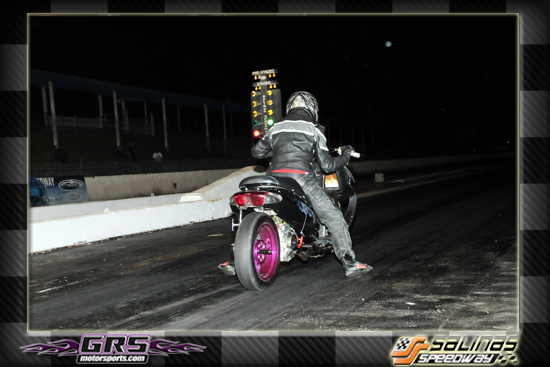 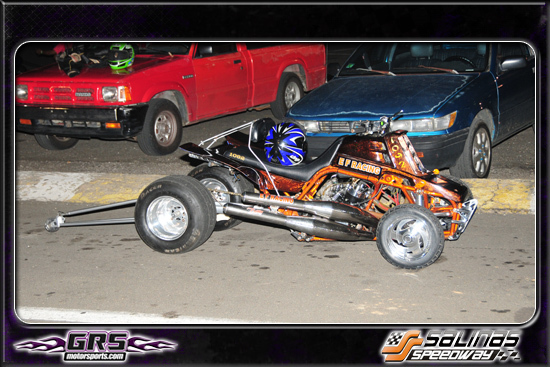 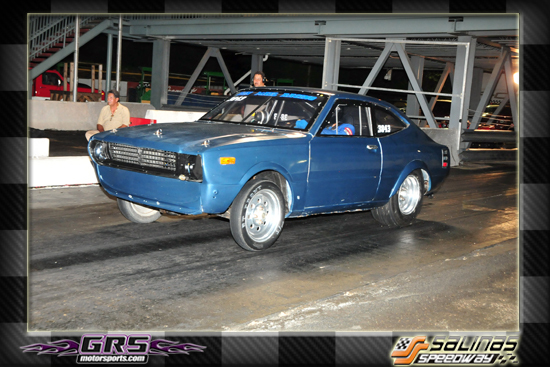 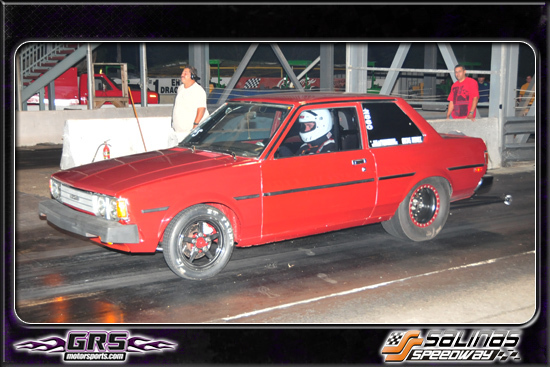 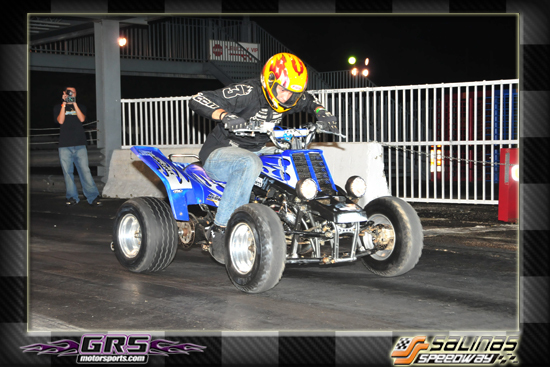 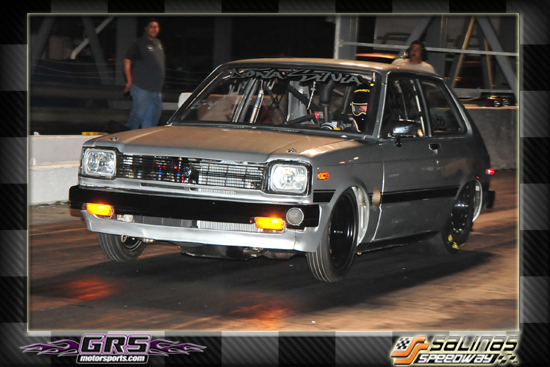 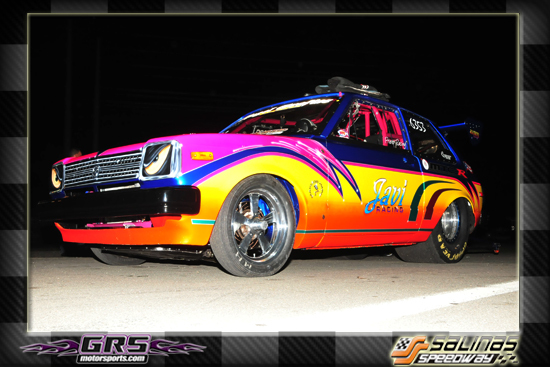 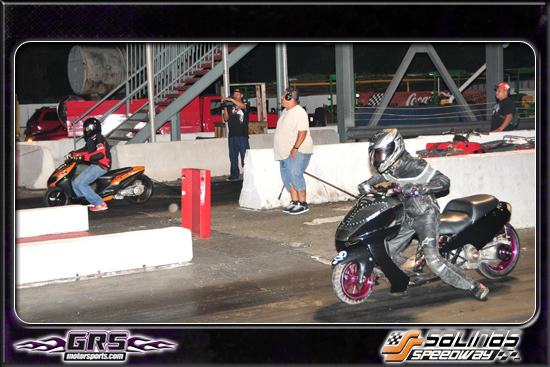 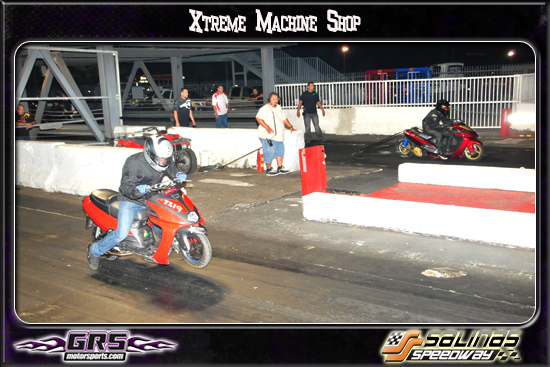 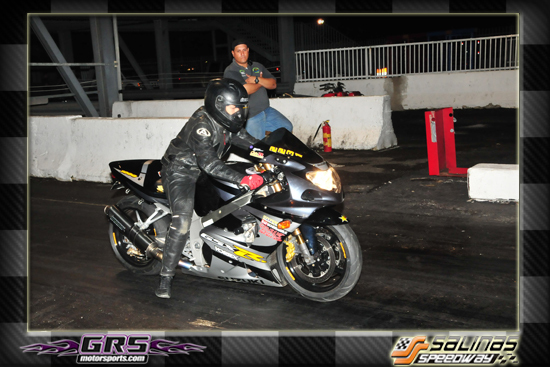 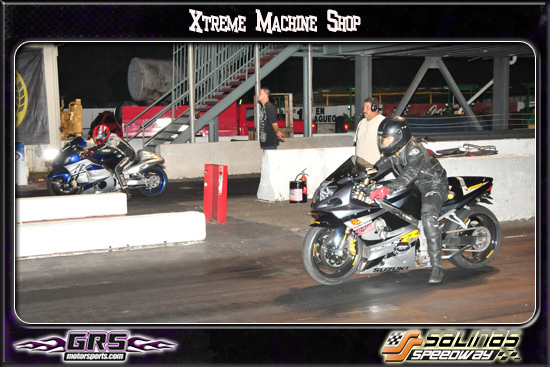 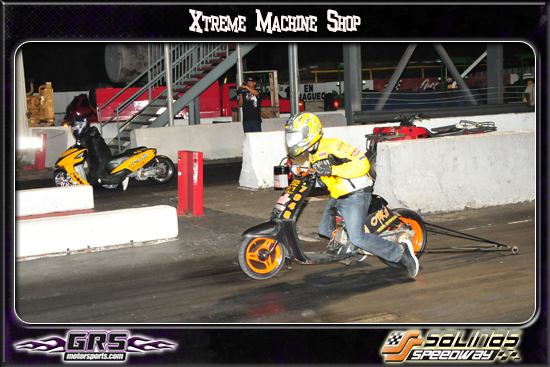 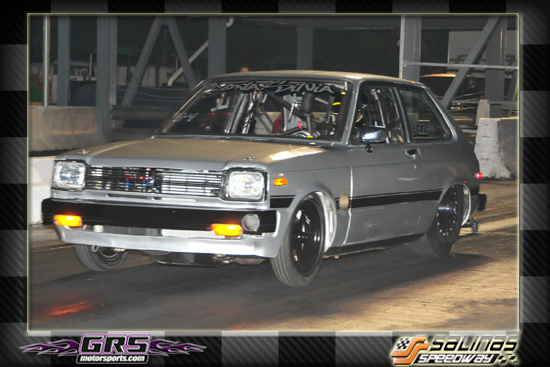 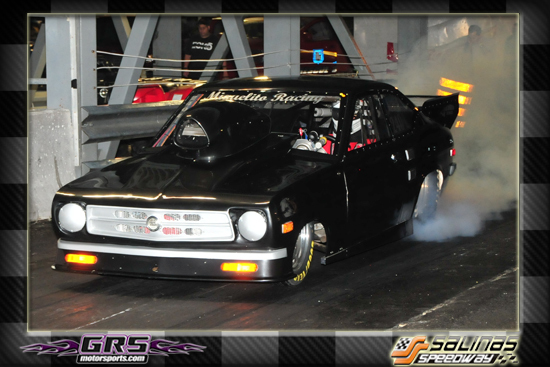 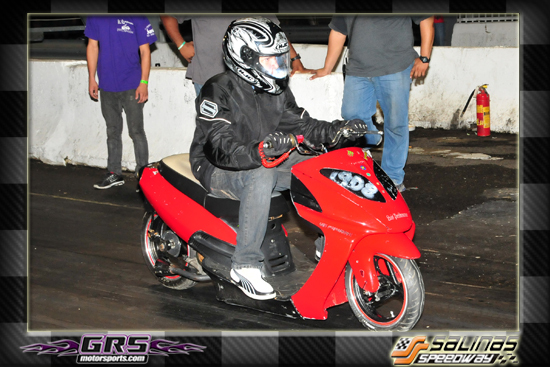 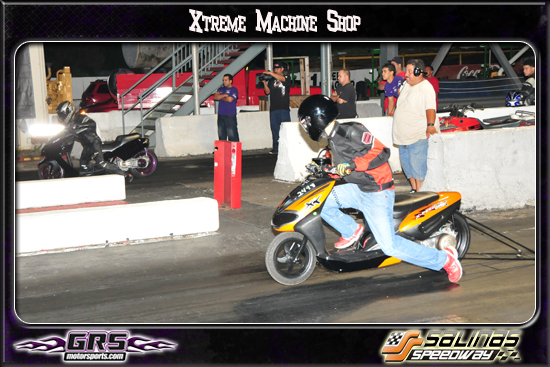 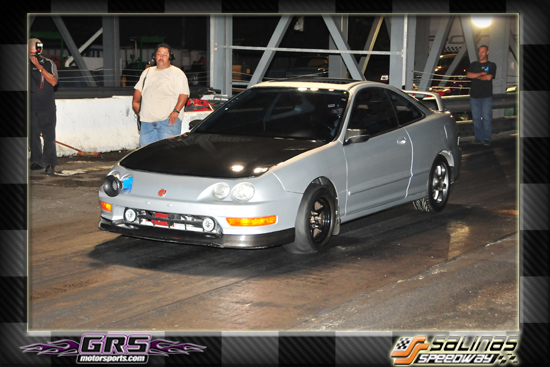 Felicidades a Eduardo Nunez & Bracket Nation Racing Team ganador del Money Hunter @ Salinas Speedway. 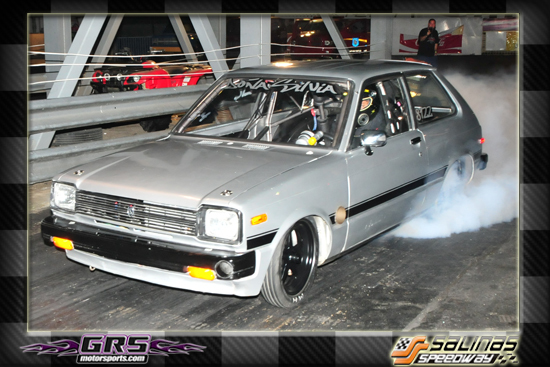 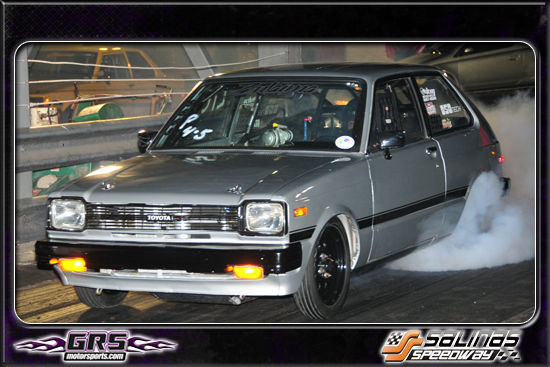 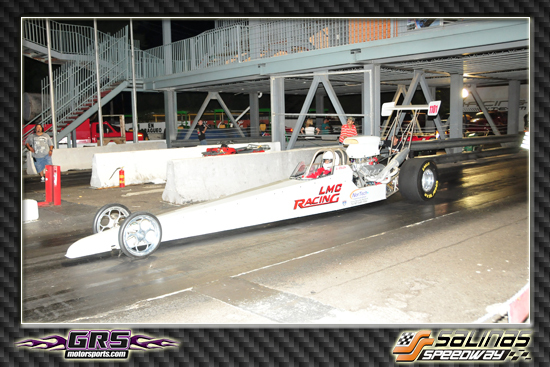 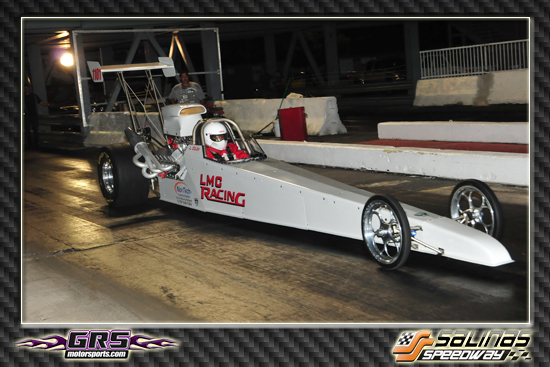 Click Video Bossanova Dragster LIC. 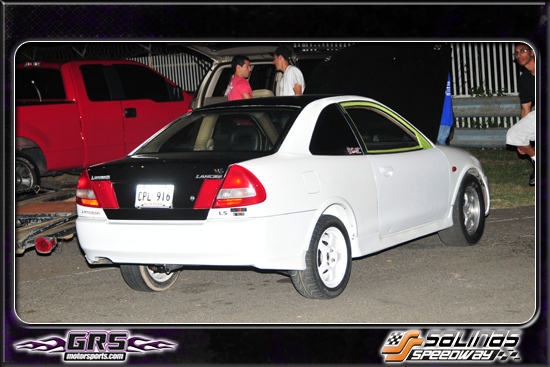 Click Video Hyundai 13.77 segs. 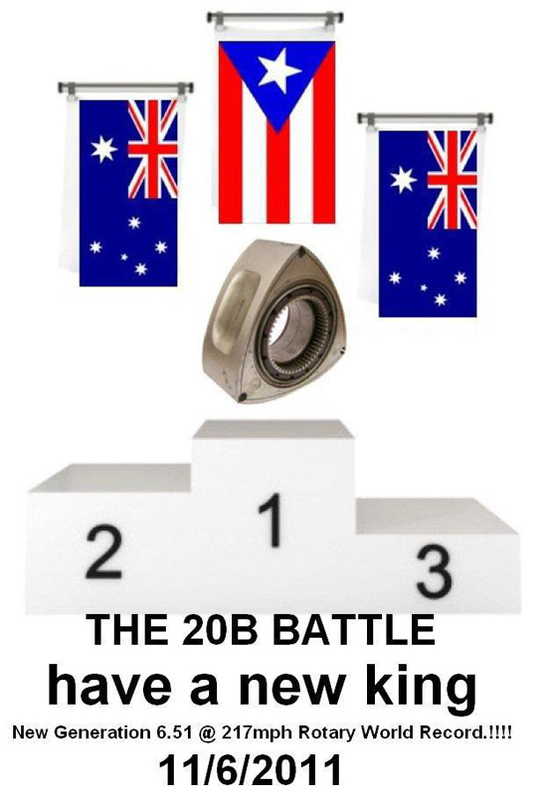 !!!!!! 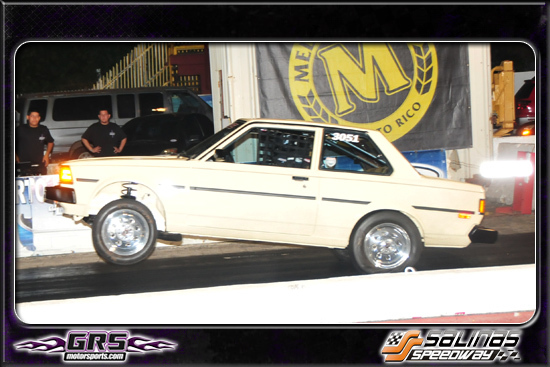 FROM PUERTO RICO !!!!!!!!!!! 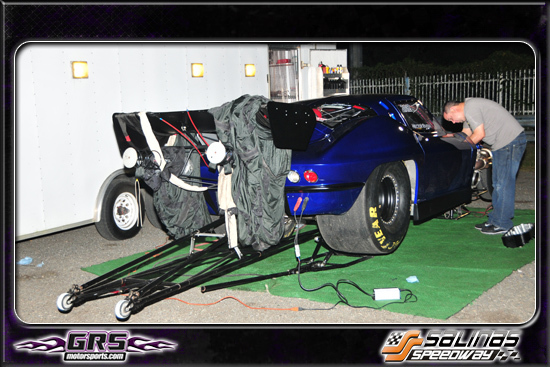 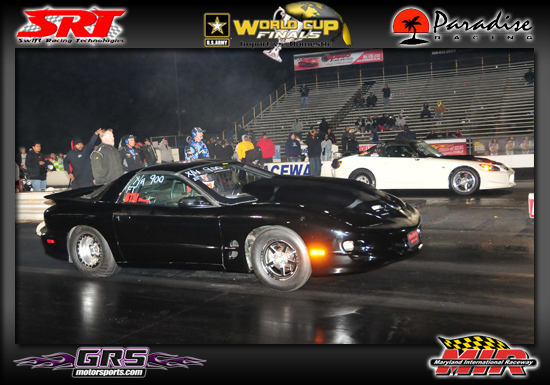 Paul Major Corvette- 15.10 @ 60 MPH. 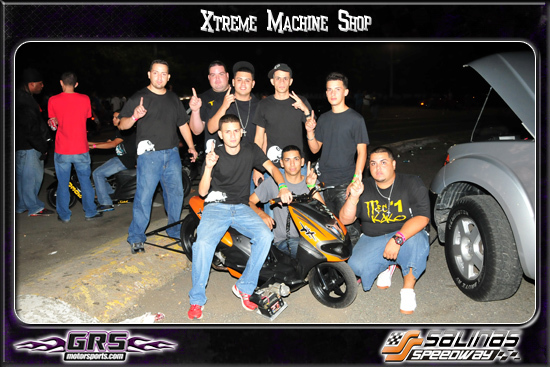 Click Video Lopez Connection - 8.20 sec. 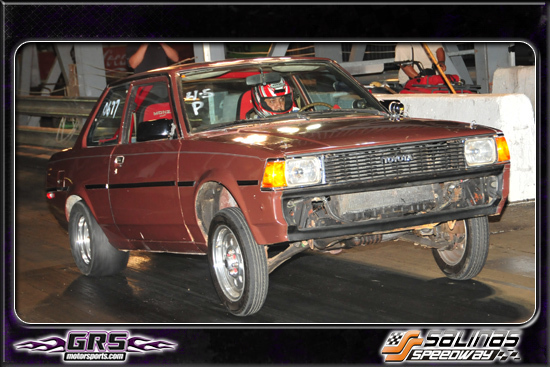 Click Video Freddy Is Back - 8.28 sec. 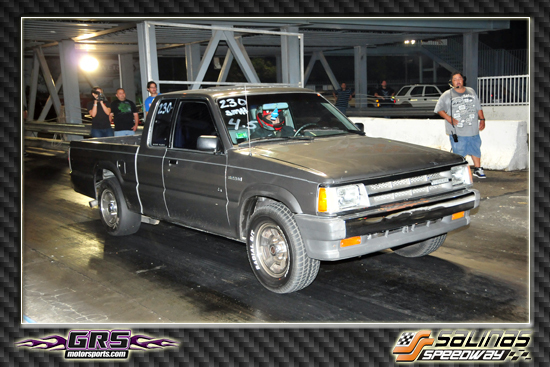 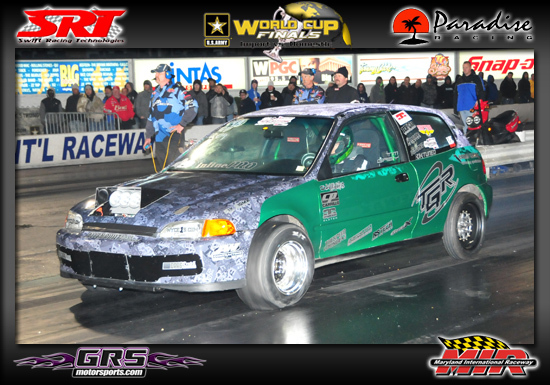 Tim Grey - 10.13 sec. 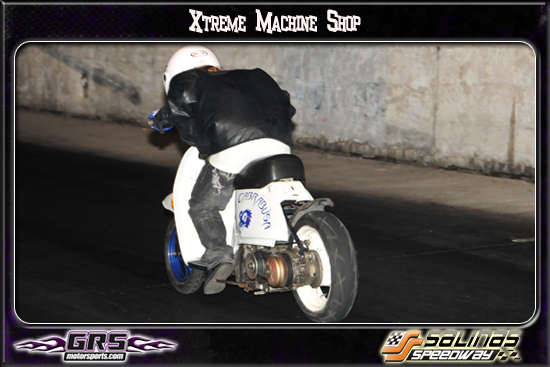 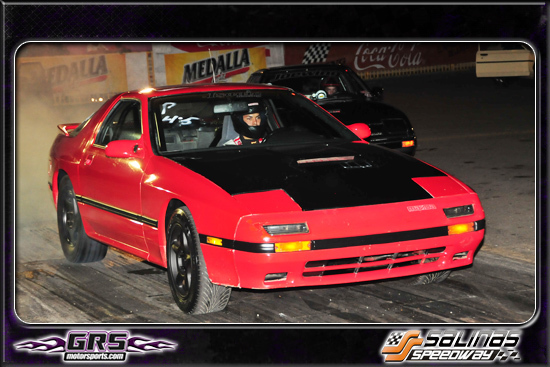 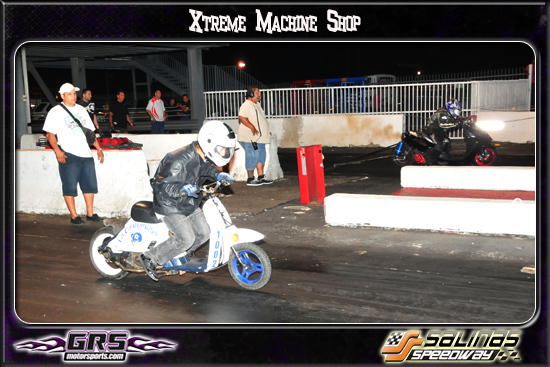 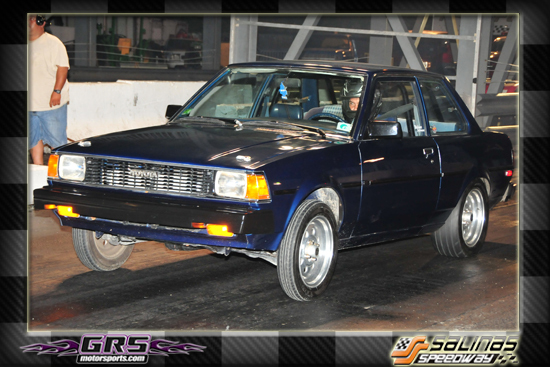 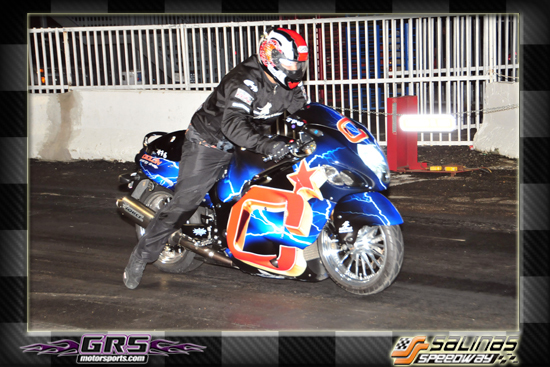 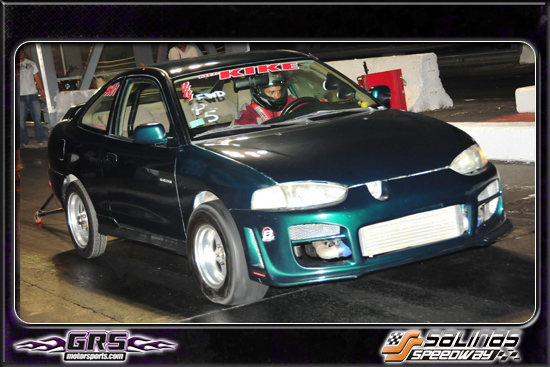 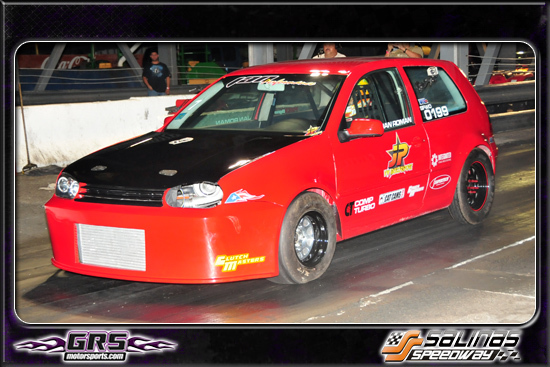 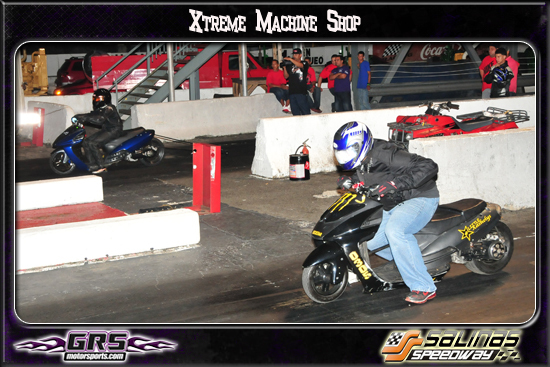 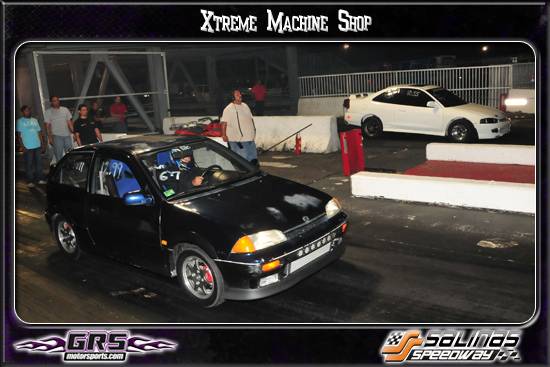 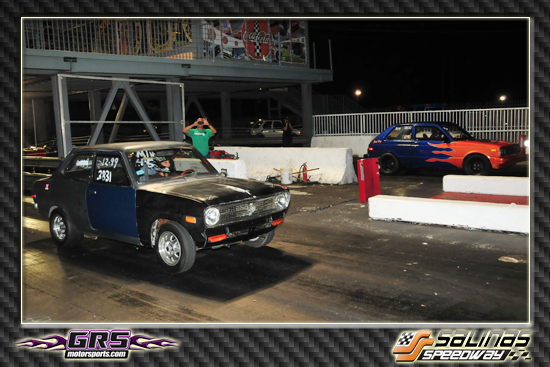 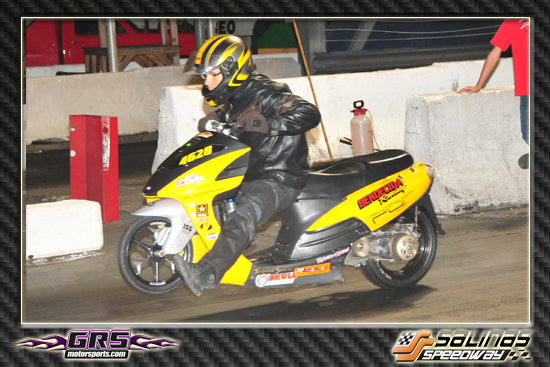 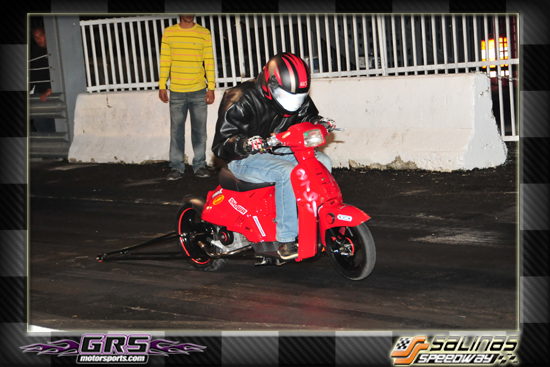 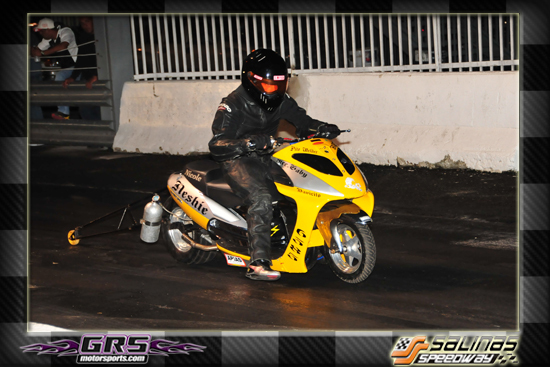 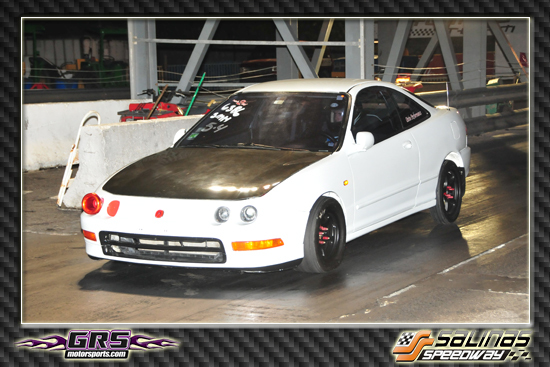 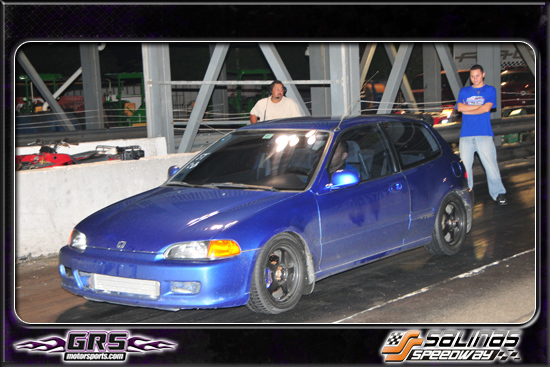 Alberto Rodriguez (CCC Racing) - 11.08 sec. 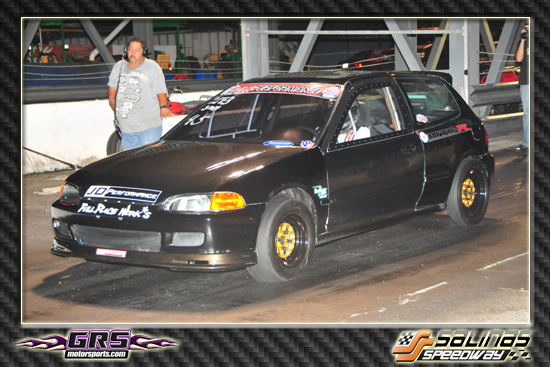 Roan Farquharson - 11.71 sec.